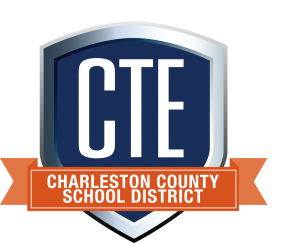 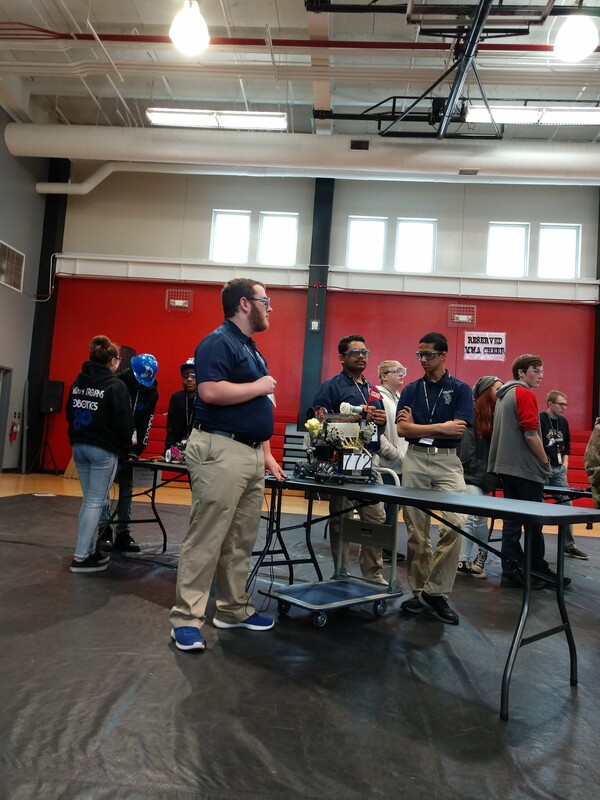 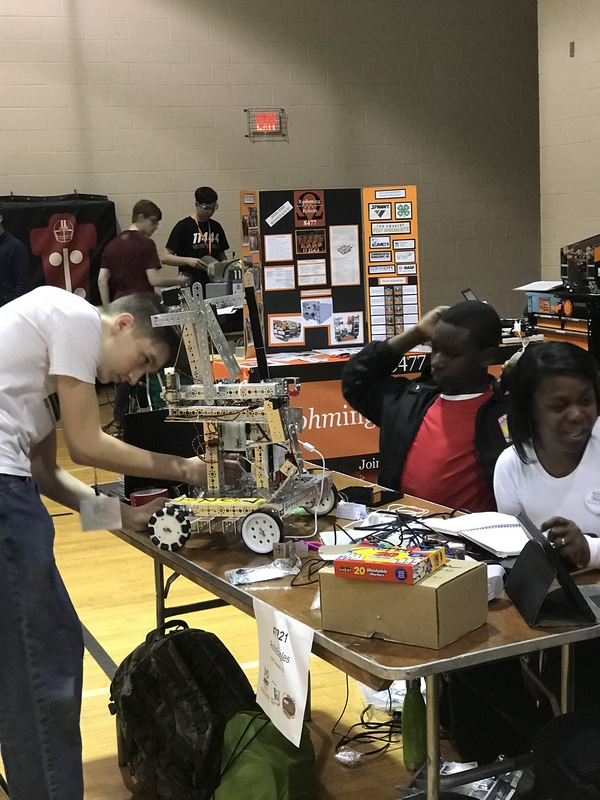 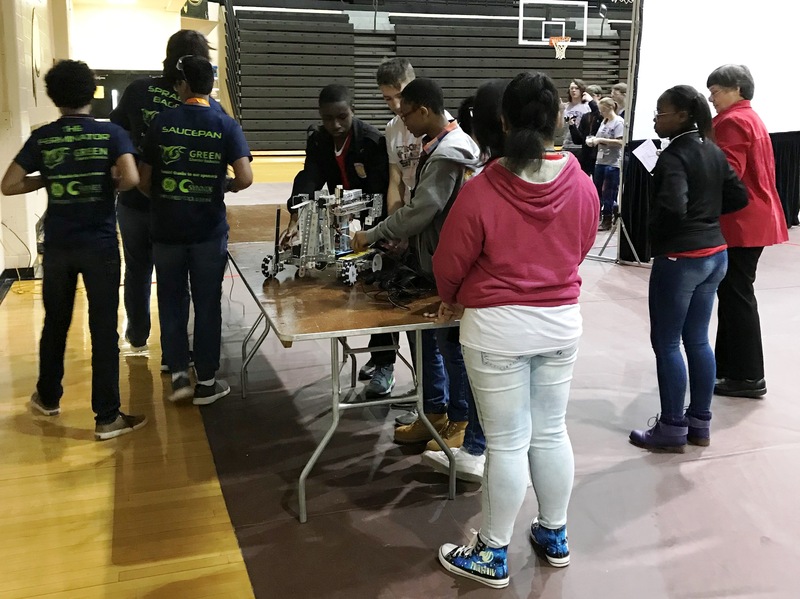 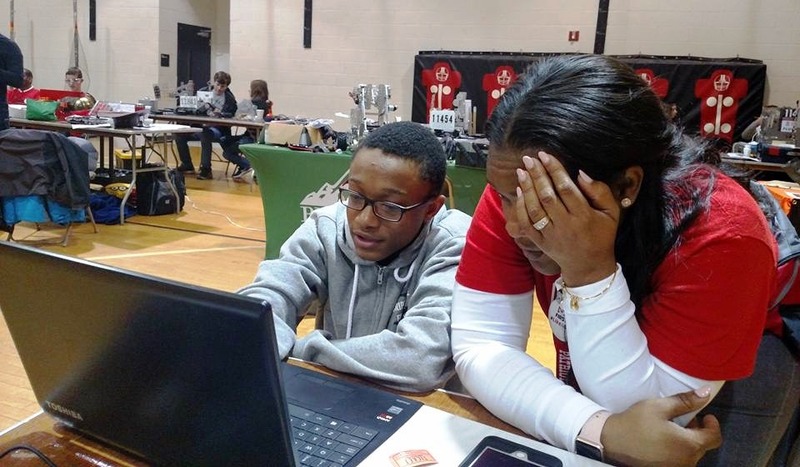 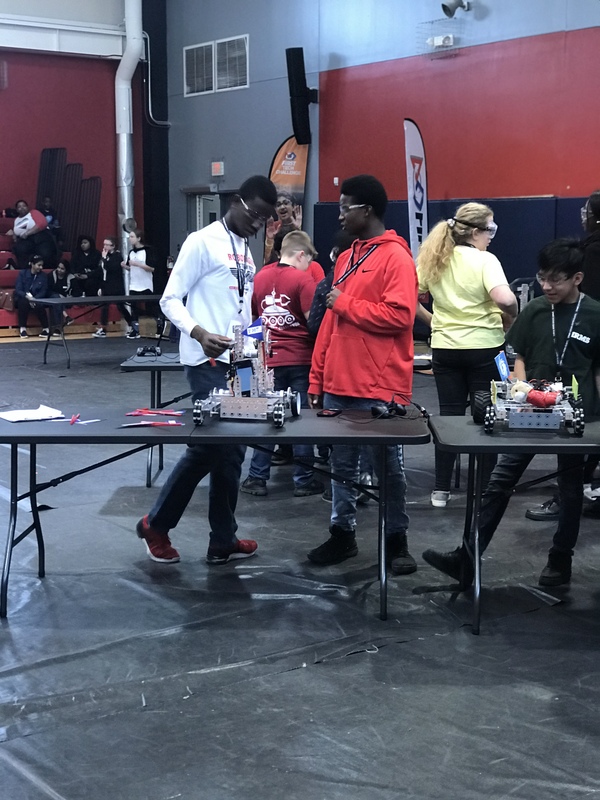 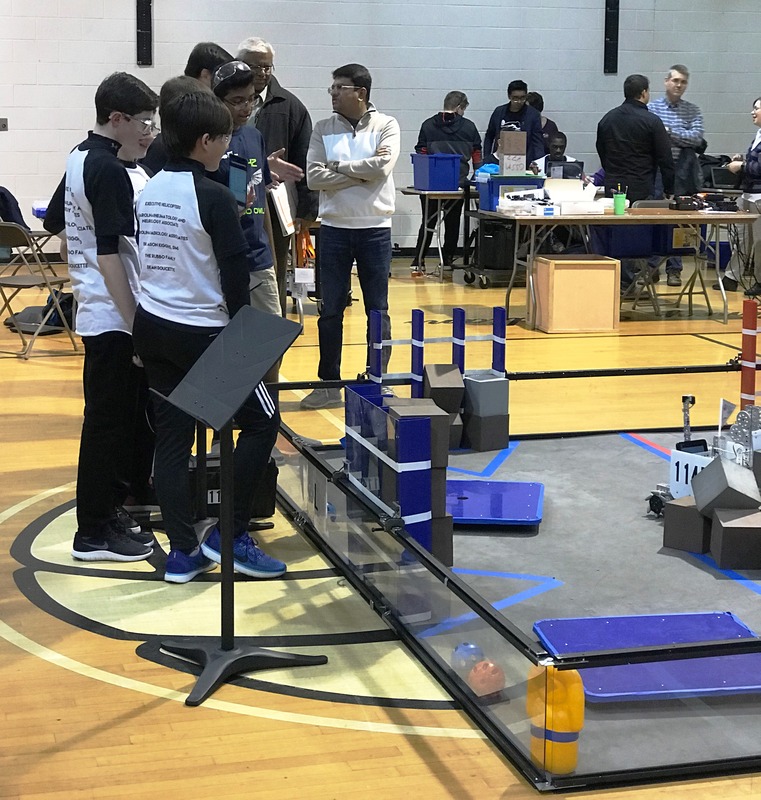 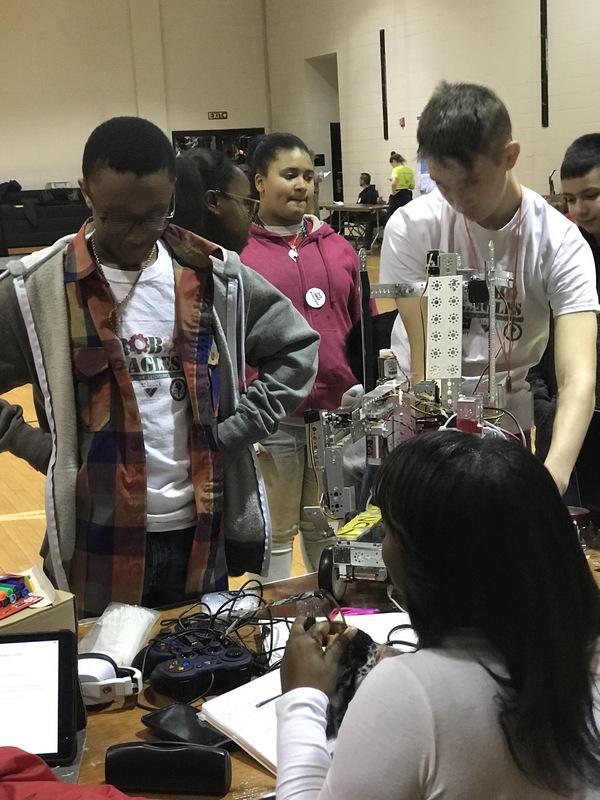 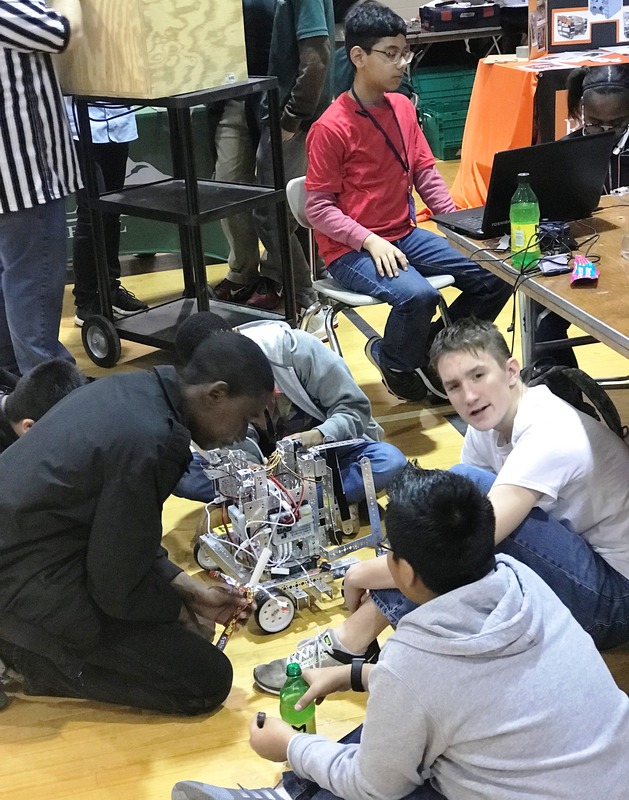 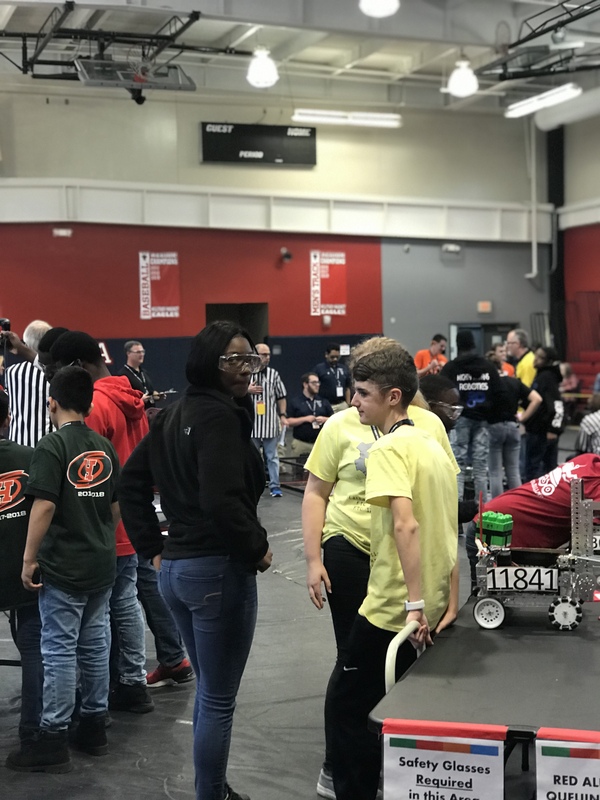 Special thanks to Ms. Carla Ferrette-Clark, CTE Instructor of Information Technology at Military Magnet Academy and FTC Robotics Team Adviser for submitting this report on the FIRST Tech Challenge Robotics League Tournament held February 2. 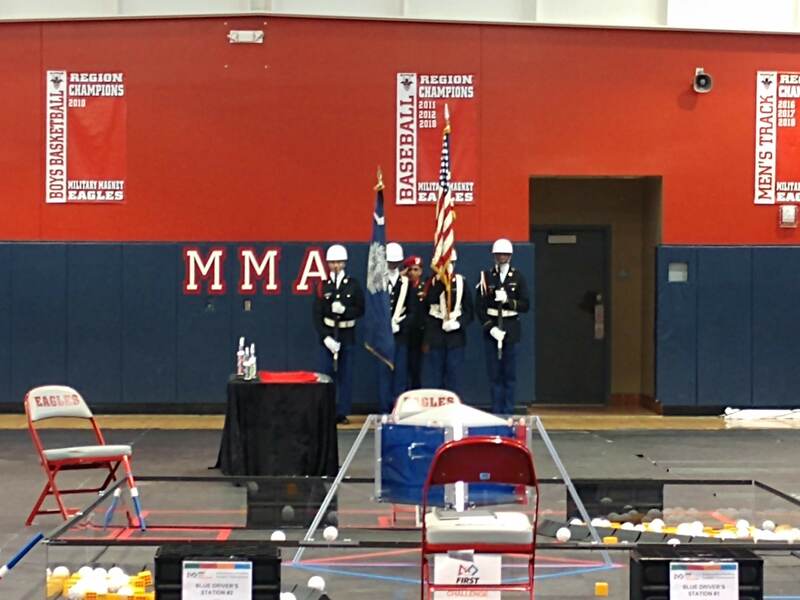 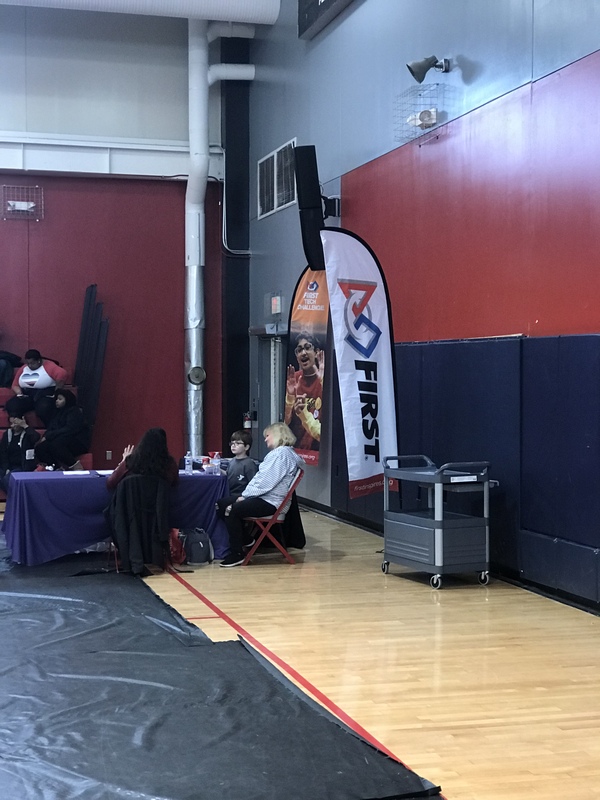 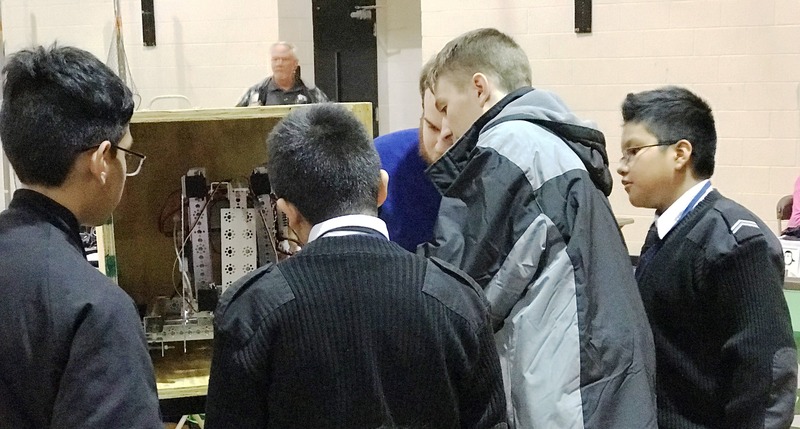 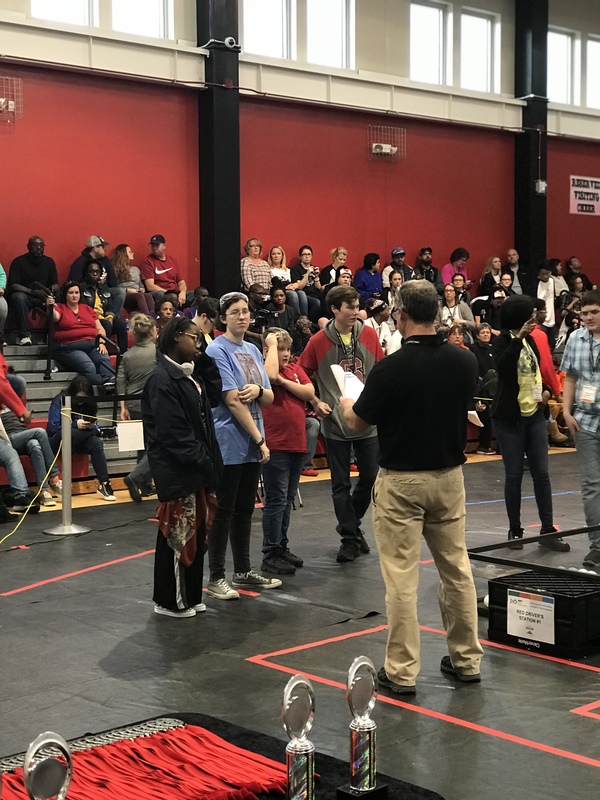 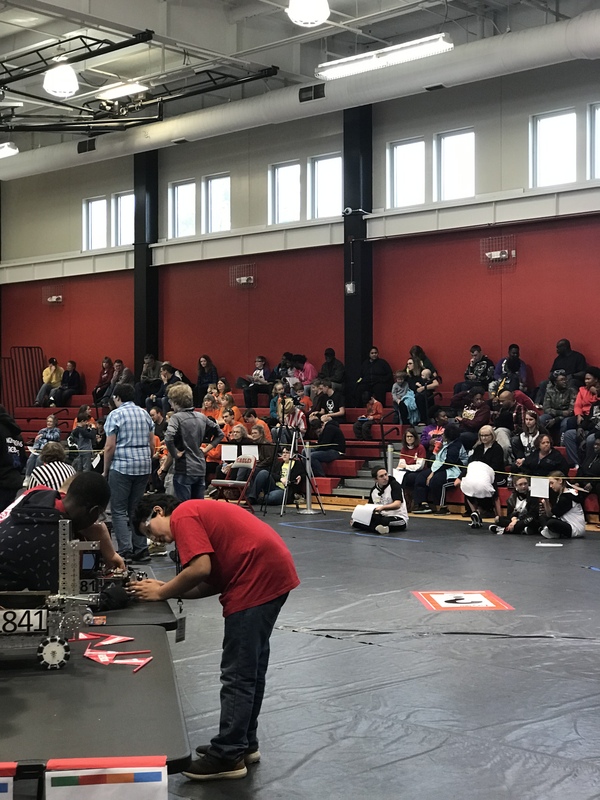 On Saturday, February 2nd, 18 FIRST (For Inspiration and Recognition of Science and Technology) FTC teams from the Lowcountry and Peedee areas converged at Military Magnet Academy for the very first East SC FIRST Tech Challenge Robotics League Tournament. 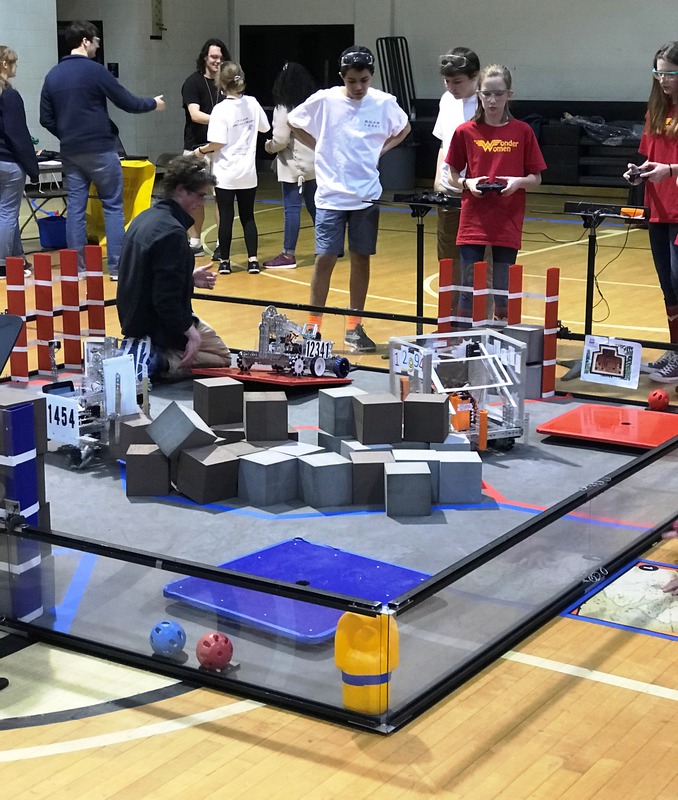 This exciting inaugural event showcased Robotics teams showing off what they learned and invented all season. 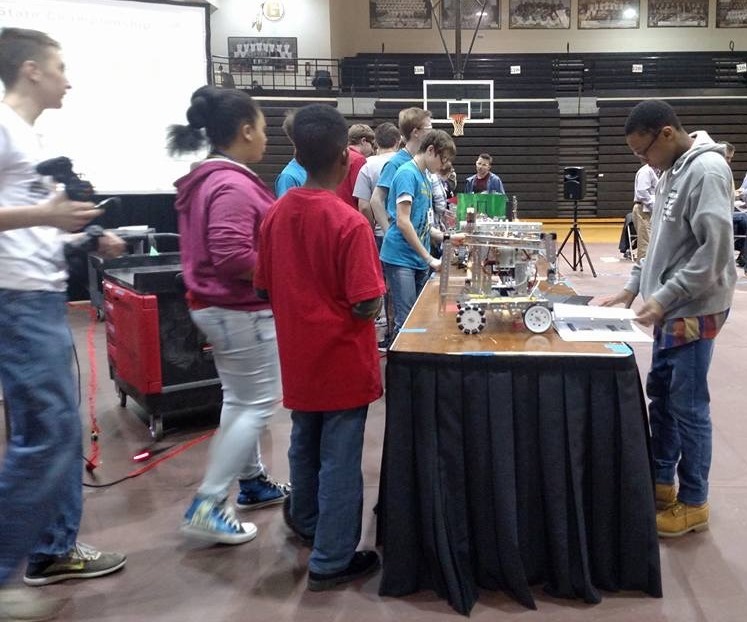 The teams competed with their robots for an opportunity to advance to the SC State First Tech Challenge Championship. This is a tremendous opportunity for our Scholars and participants in the State of South Carolina, particularly as it relates to the future STEM workforce in the Palmetto State. 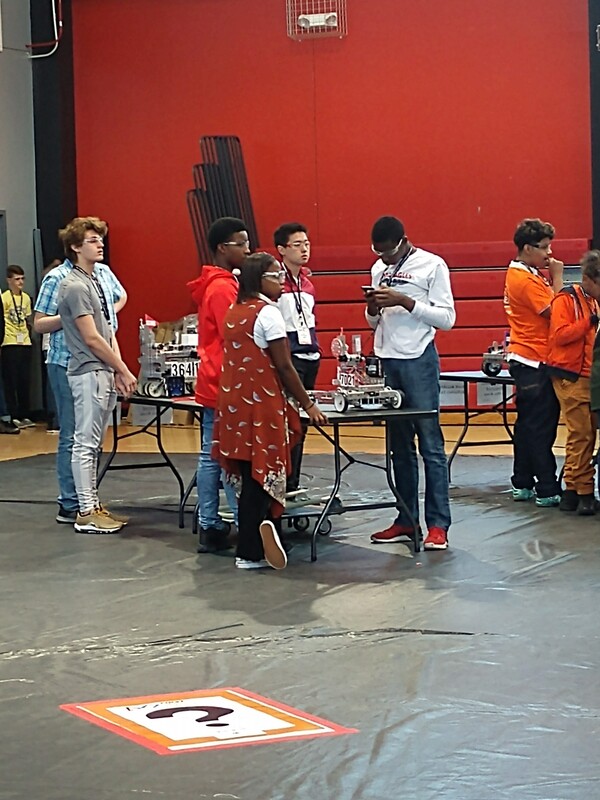 As our guest speaker, State Representative Sylleste Davis said, “STEM is important to our Scholars future.” MMA had a packed house to promote the STEM initiative! 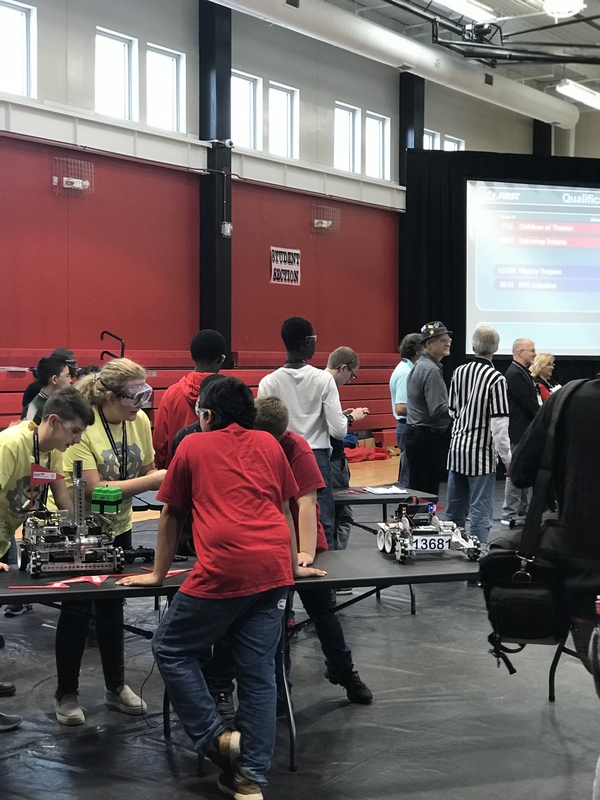 A little history behind FTC in the Lowcountry is each year FTC teams design, build, program and operate robots to compete in a head-to-head challenge with alliance partners. 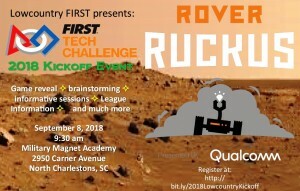 This year’s challenge is Rover Ruckus and league winners advance to the regional championships in Gaffney, SC. 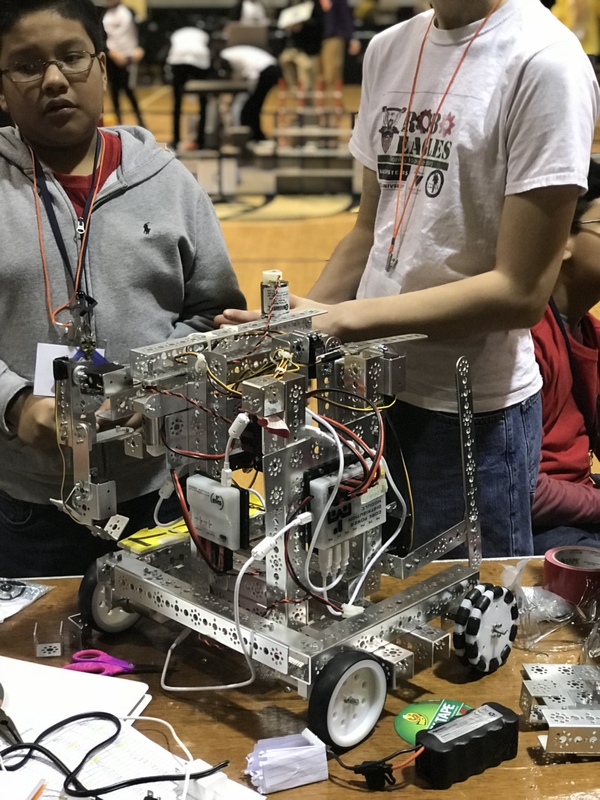 FTC is a 7-12 grade competition which allows participants to apply engineering principles, build STEM skills, and exposes them to real-world experiences. 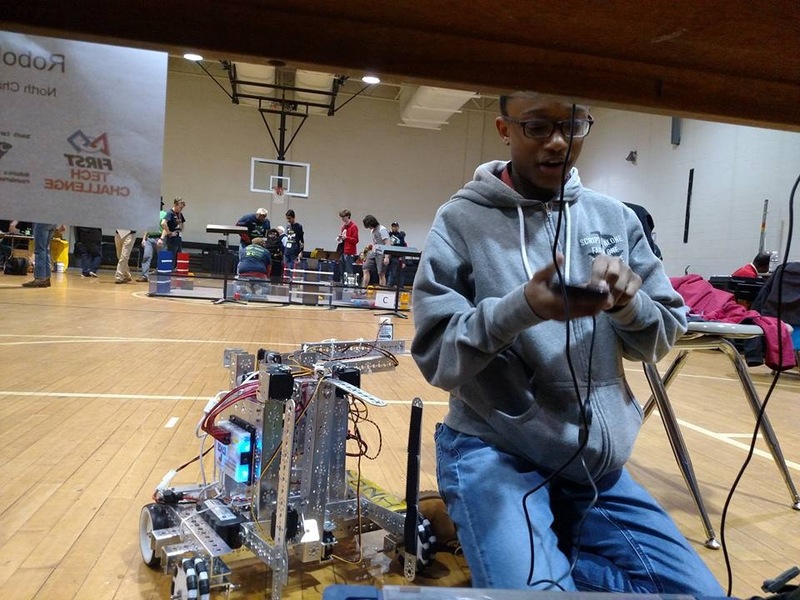 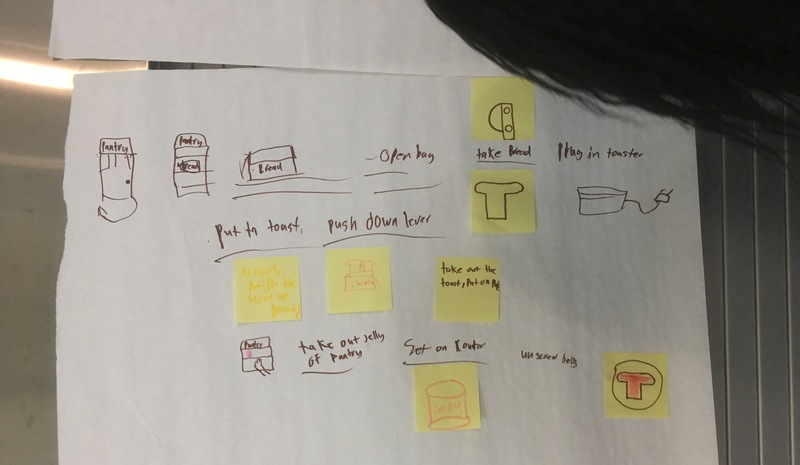 Each team operates as a small business with the robot as their product. 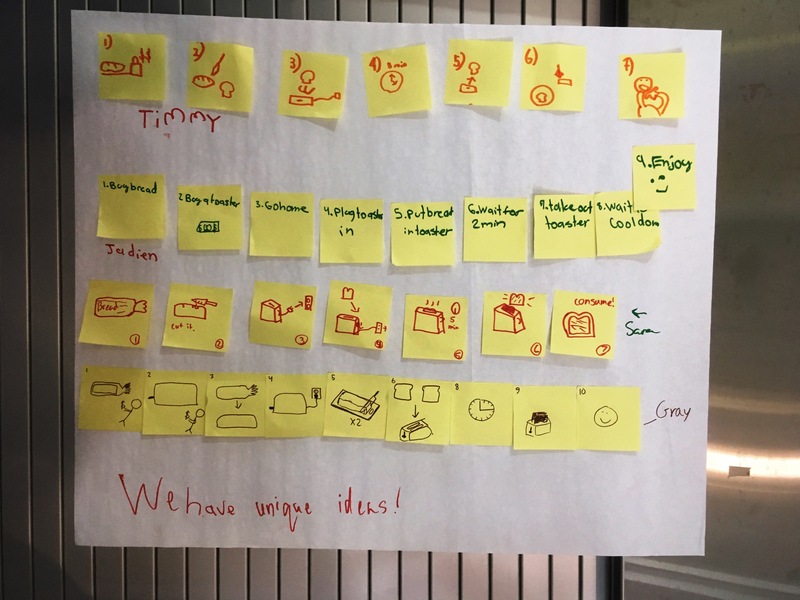 Team members function in different capacities, similar to a real job. 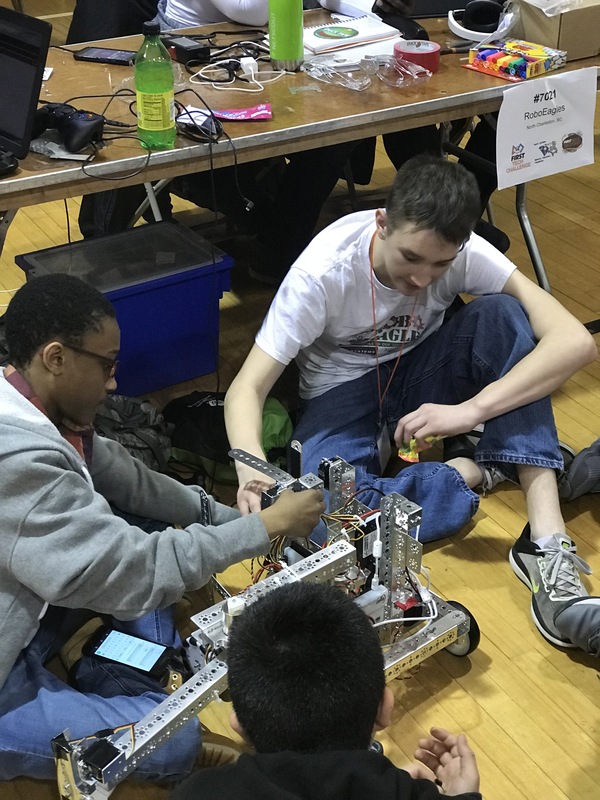 Team roles can consist of programmers, designers, builders, safety inspectors, technical writers, pit crew, drivers, drive coach, and more. 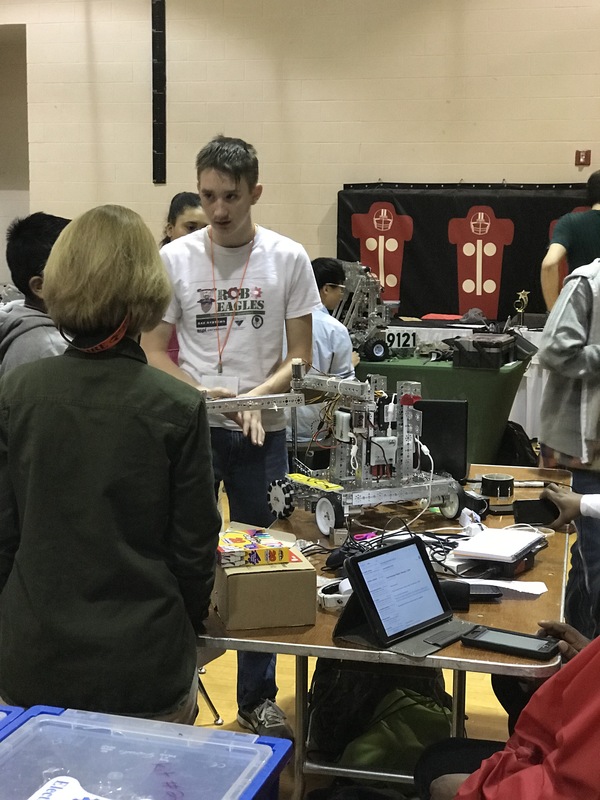 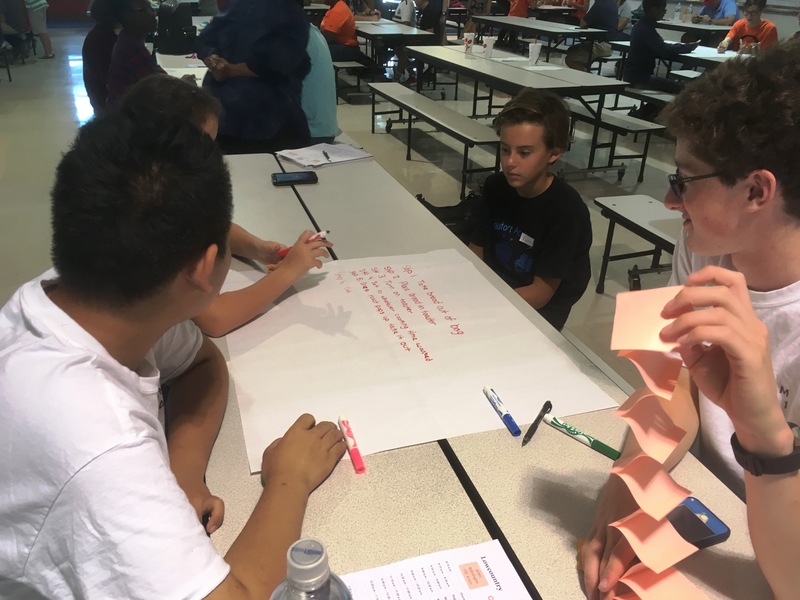 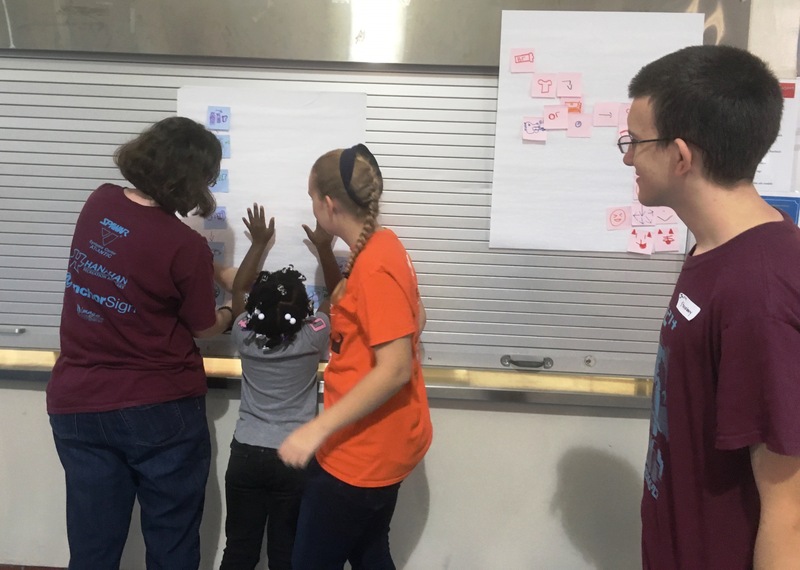 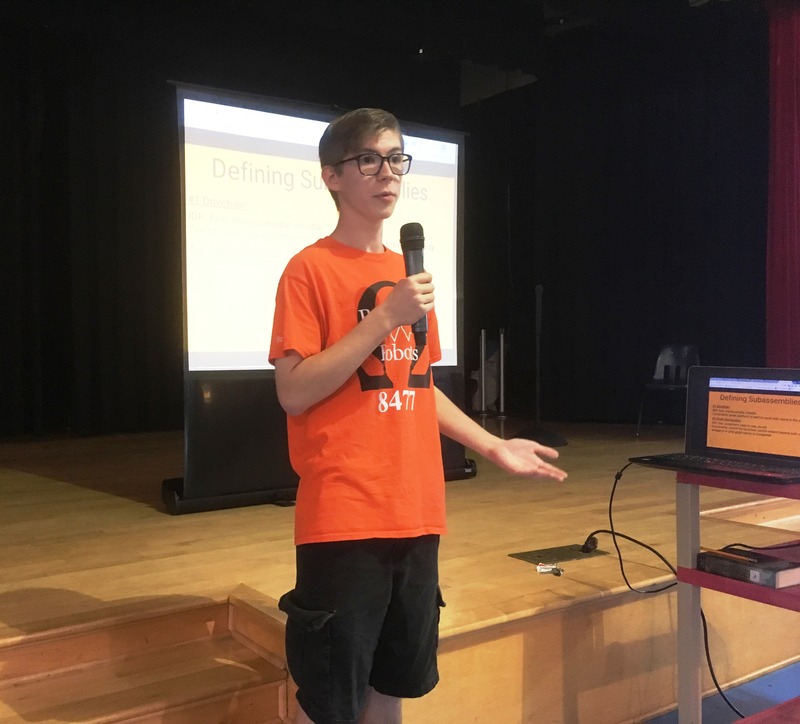 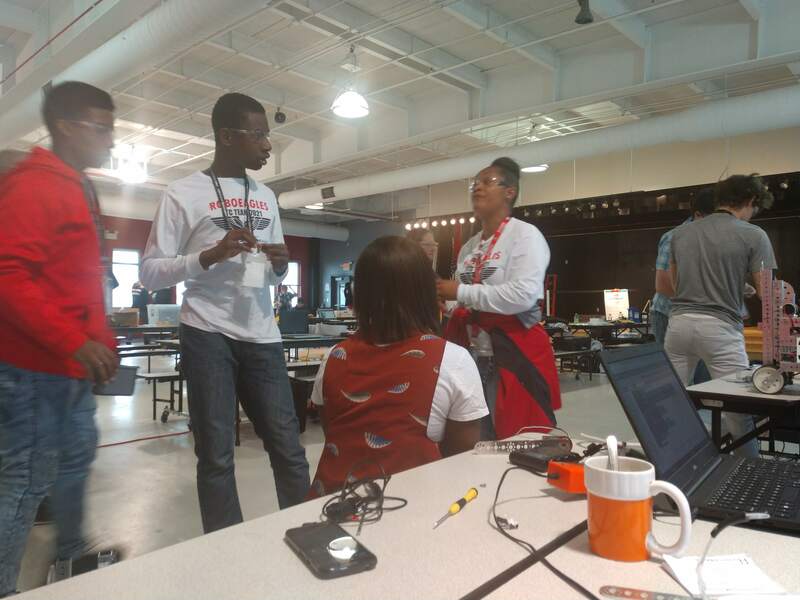 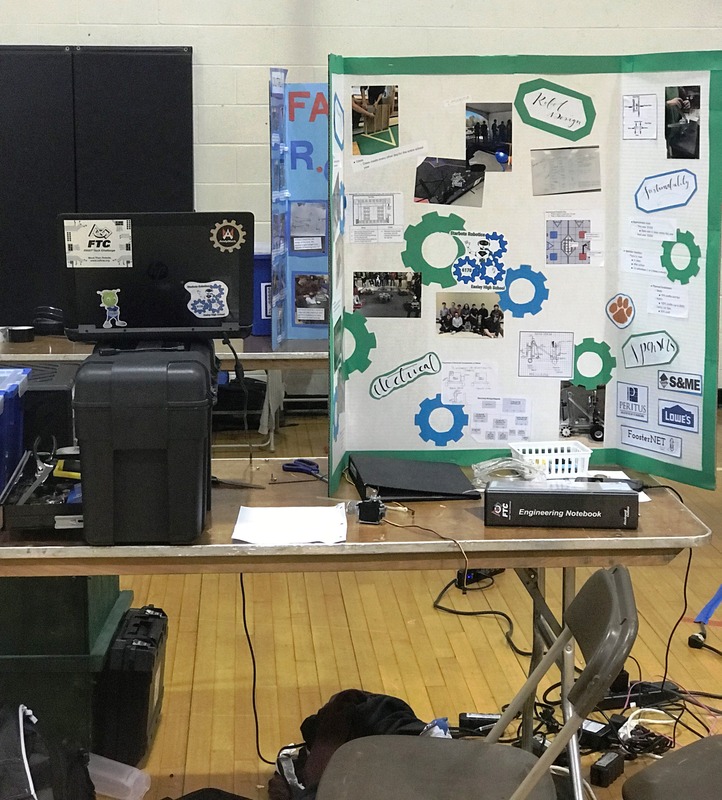 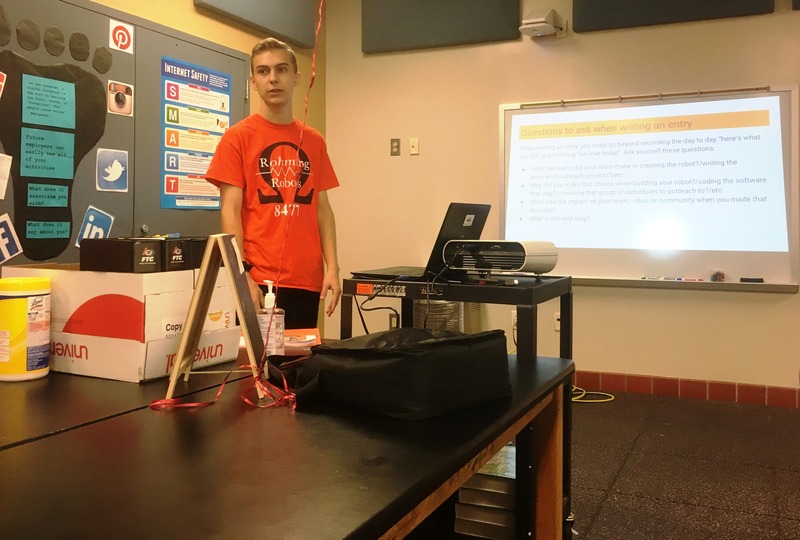 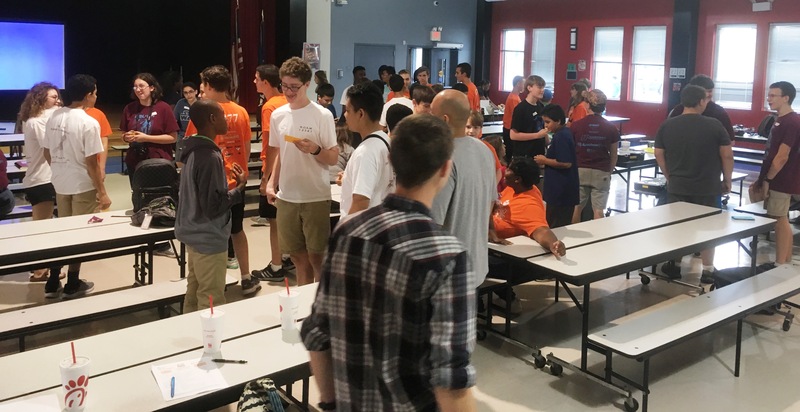 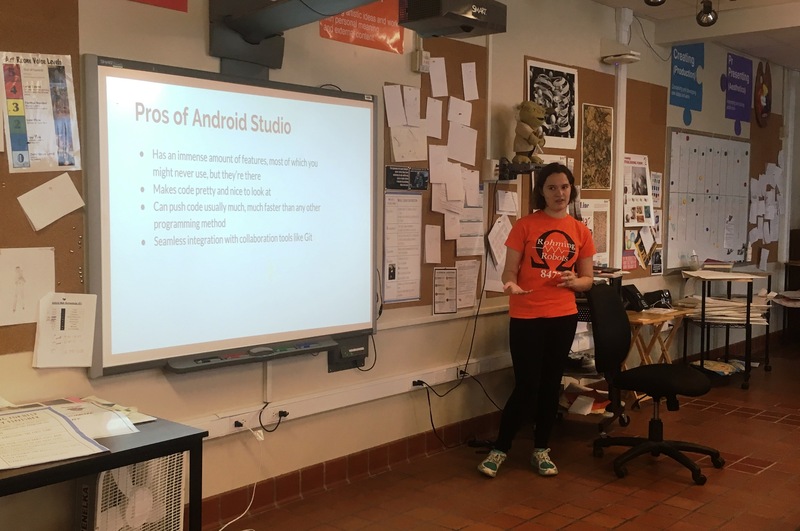 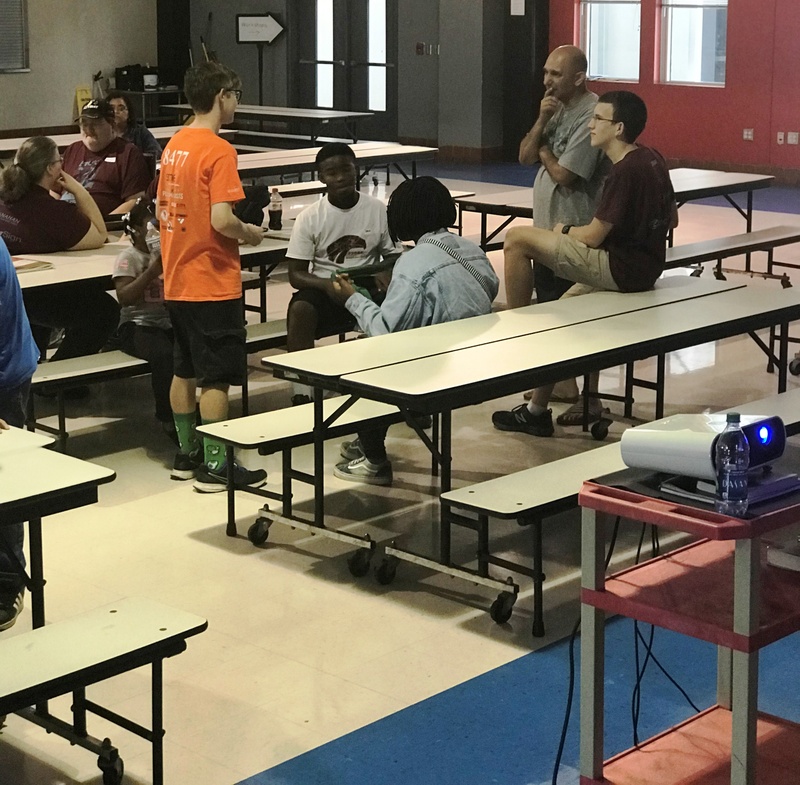 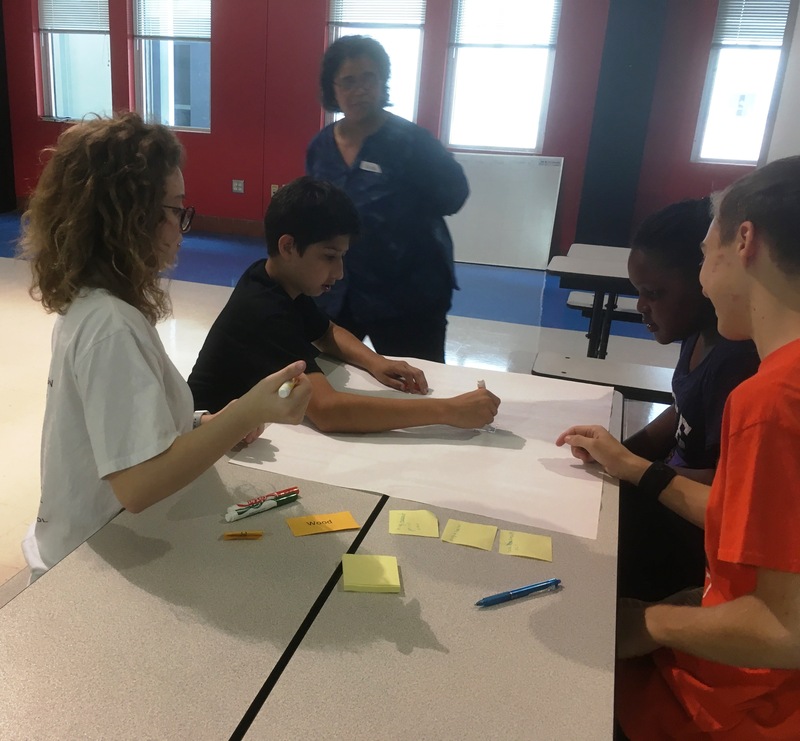 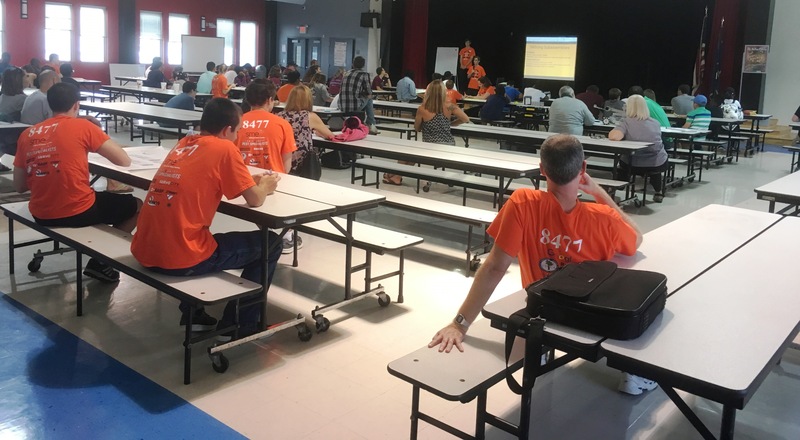 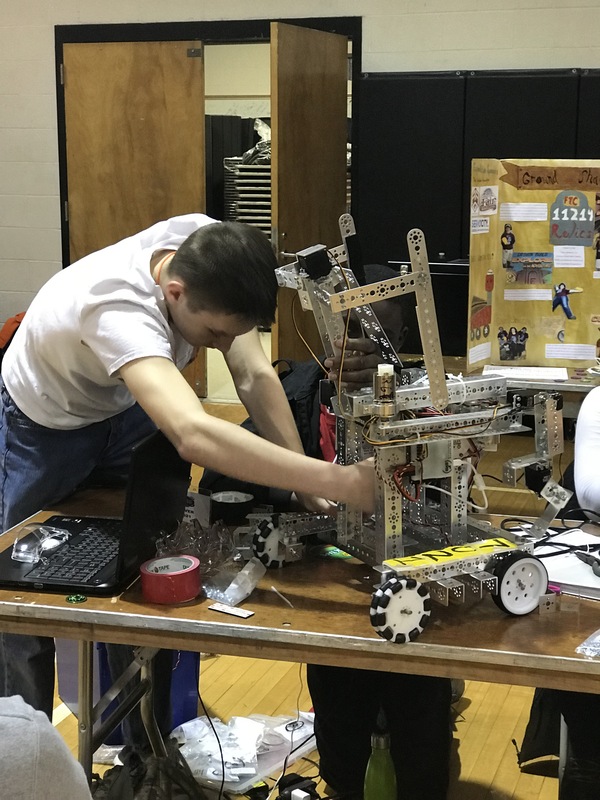 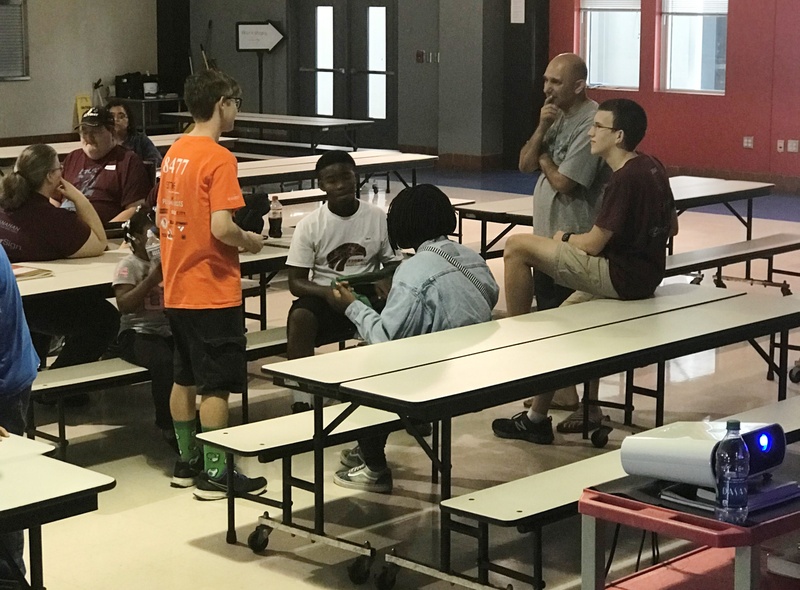 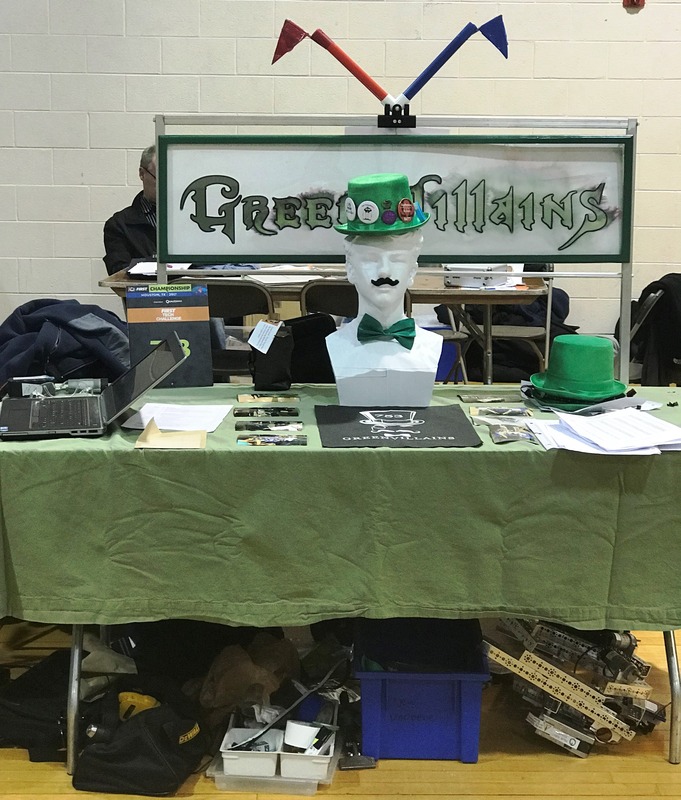 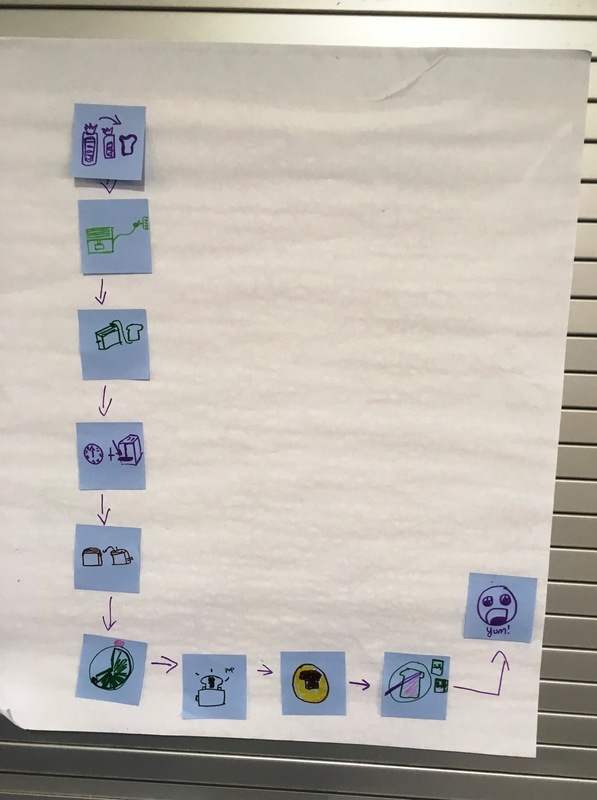 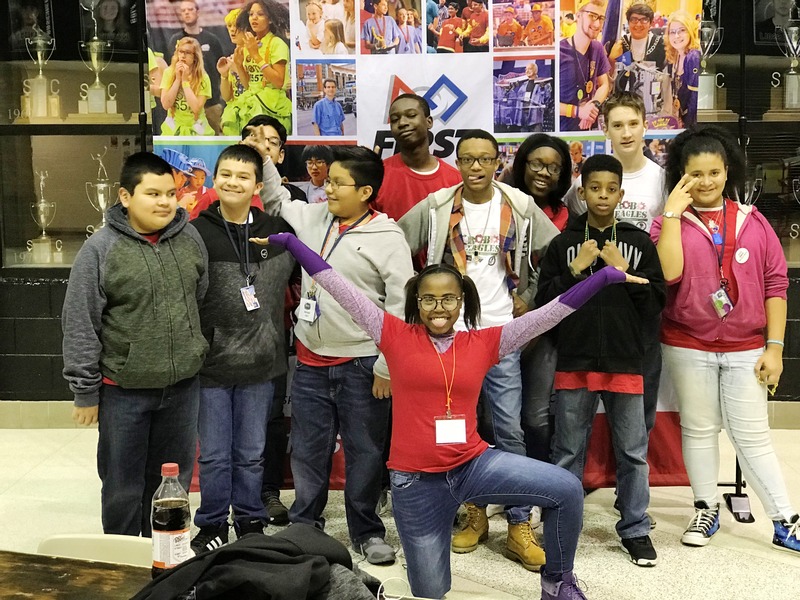 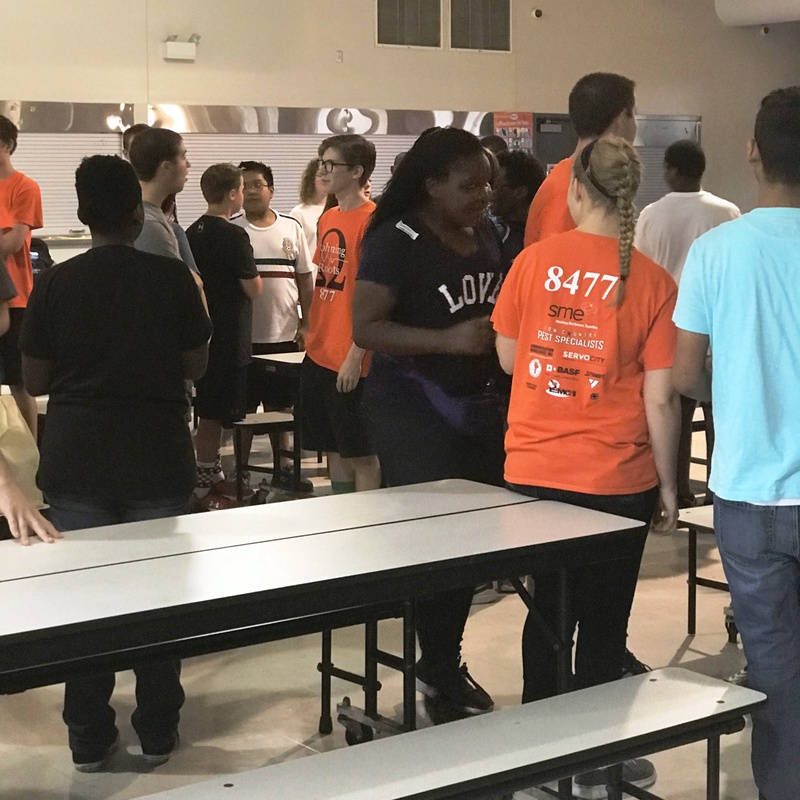 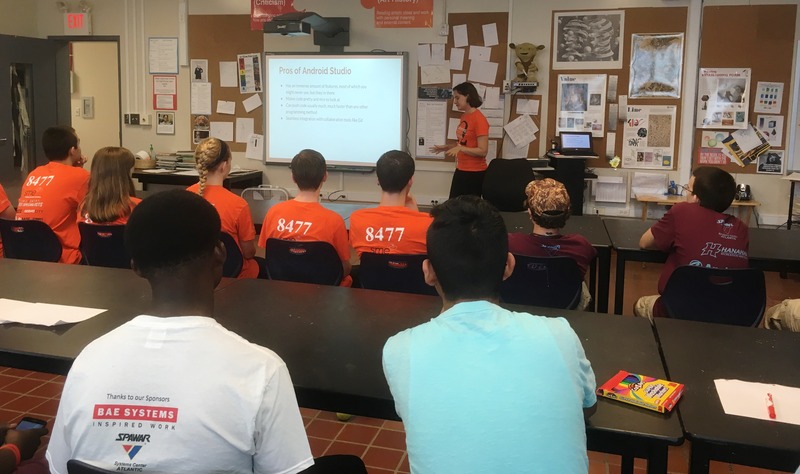 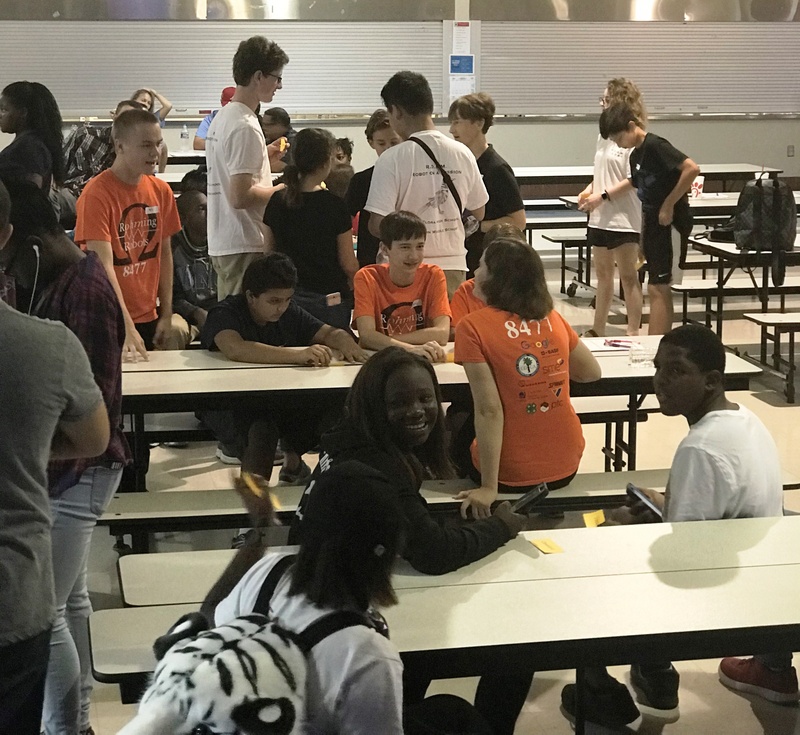 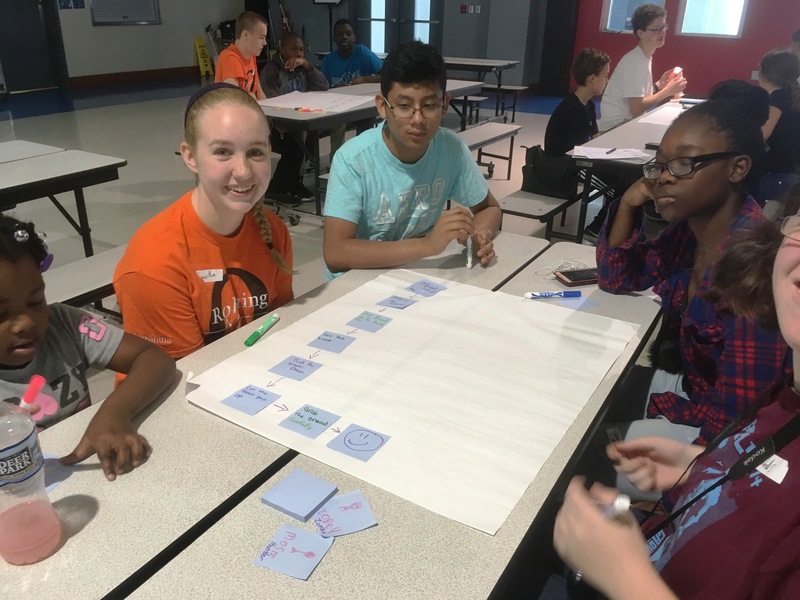 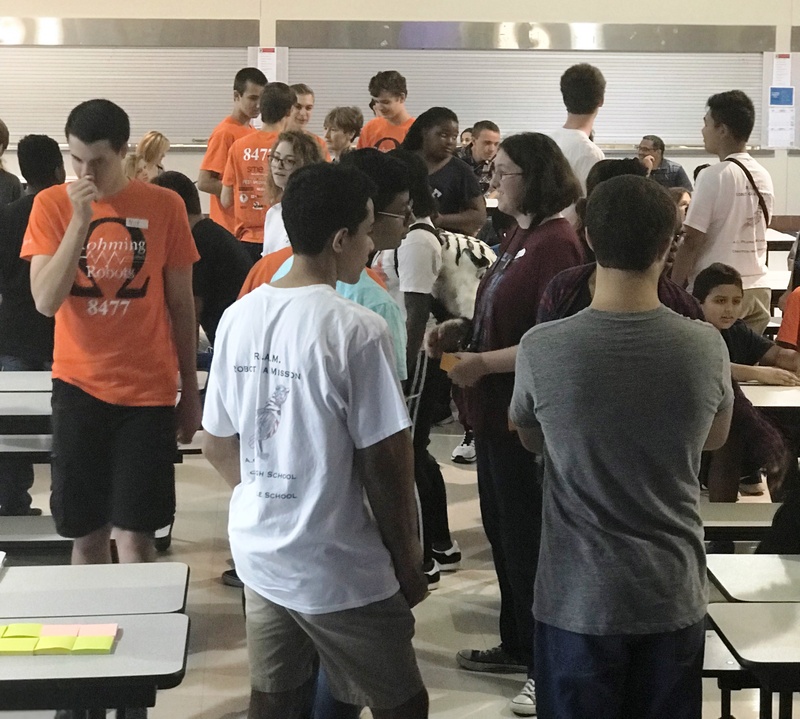 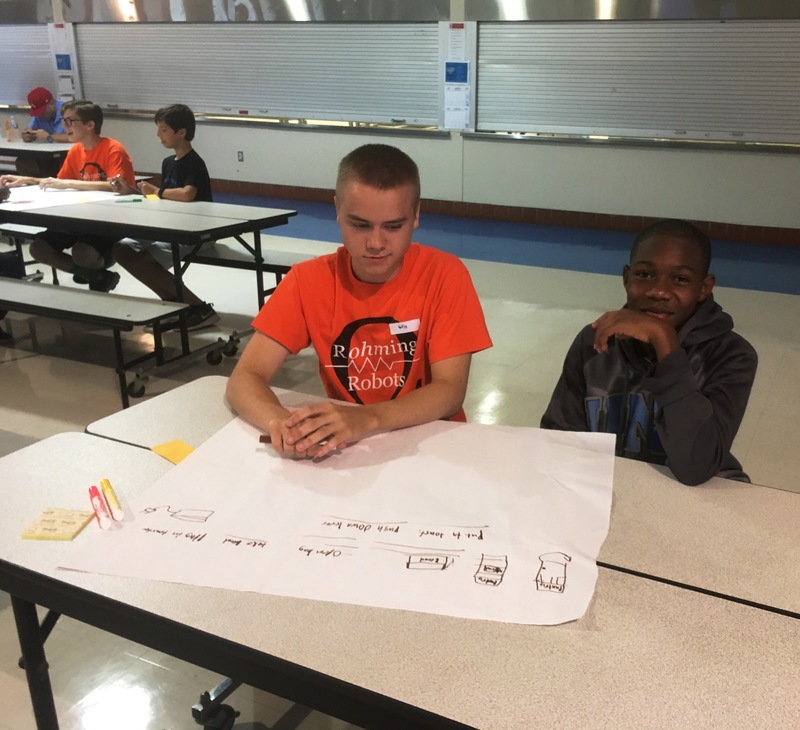 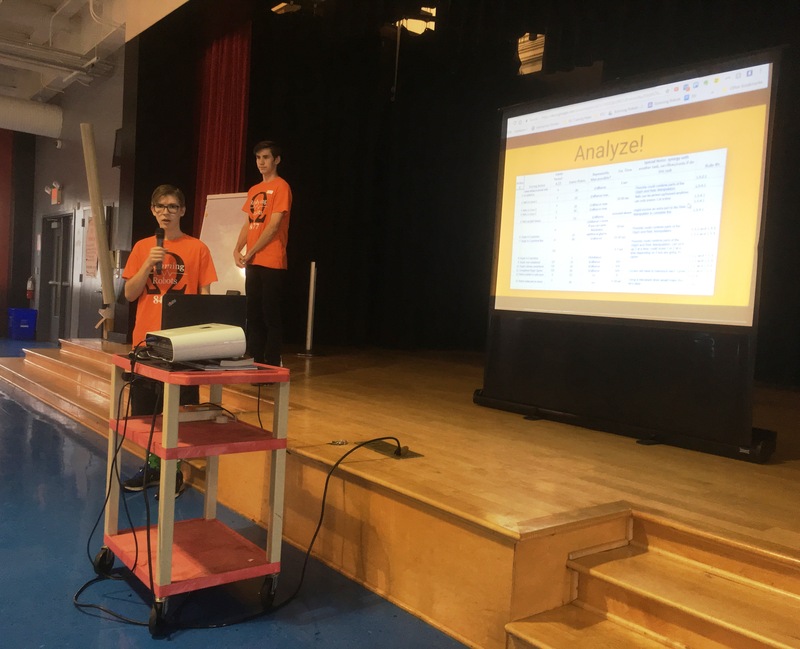 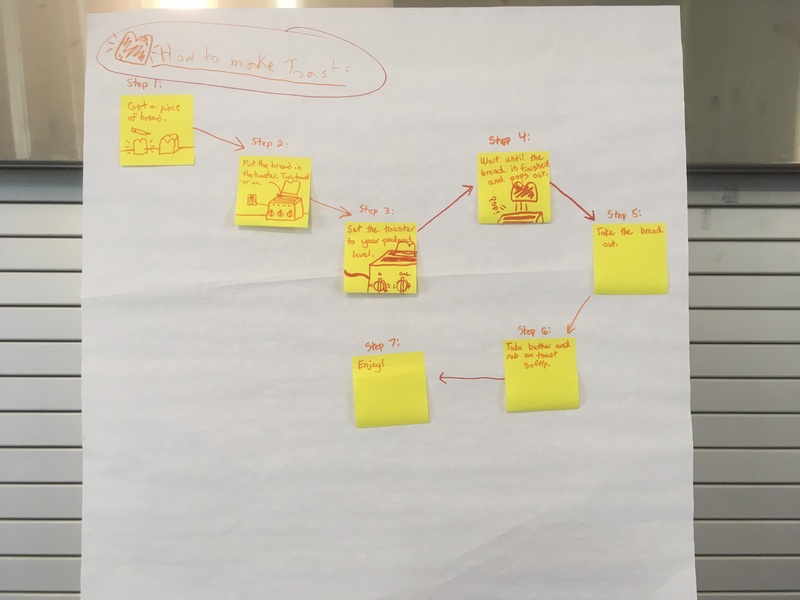 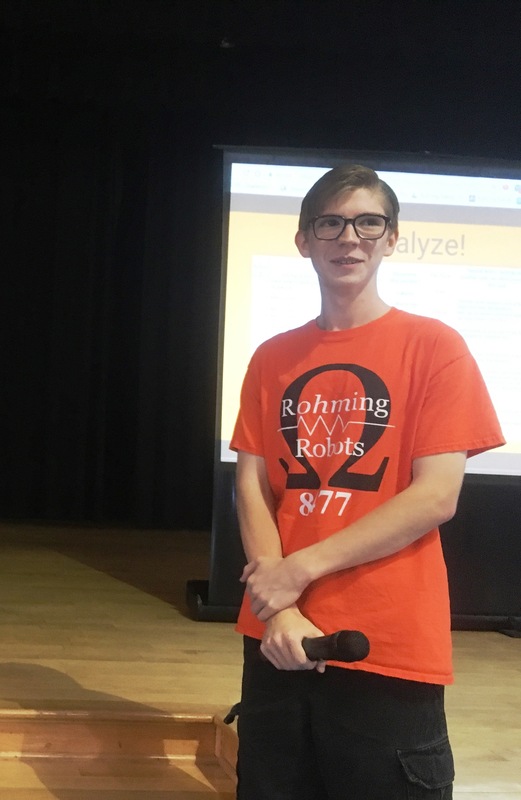 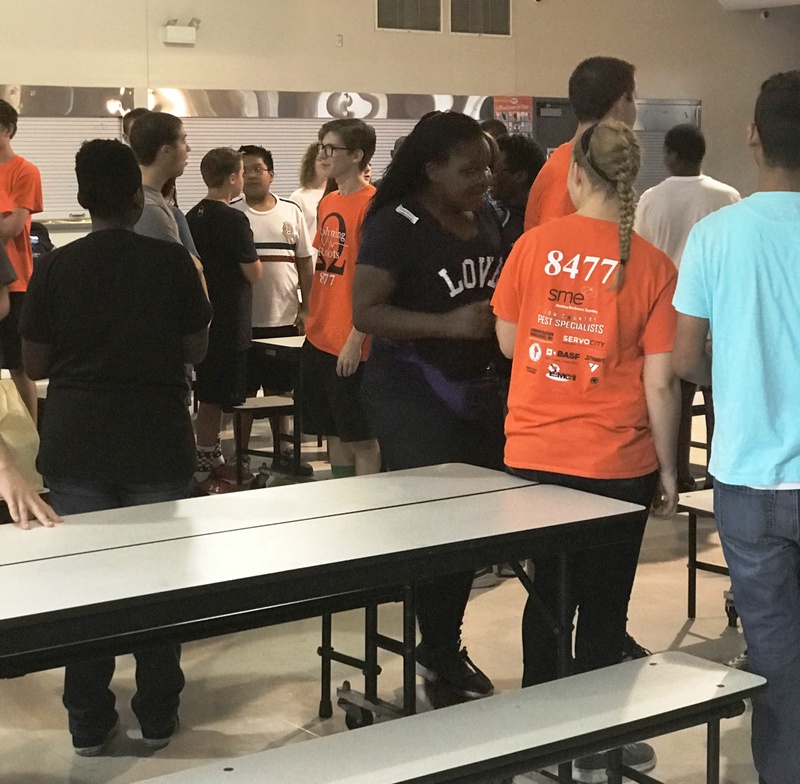 Guided by adult coaches and mentors, robotics team members also engage in other activities such as developing a business plan, marketing, fundraising, public speaking, and community outreach. 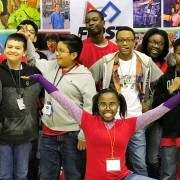 Participants and teams can earn awards and are eligible to apply for $80M+ in college scholarships. 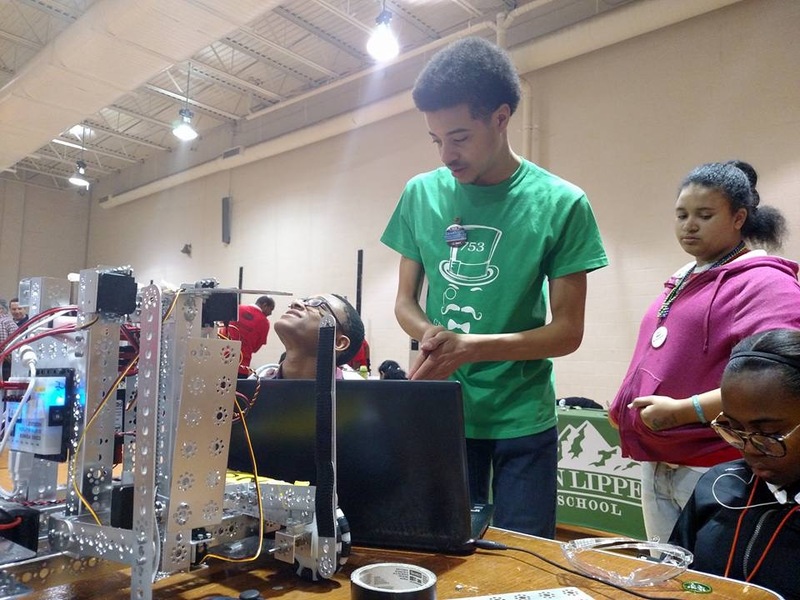 Each season concludes with regional championship events and an exciting FIRST Championship. 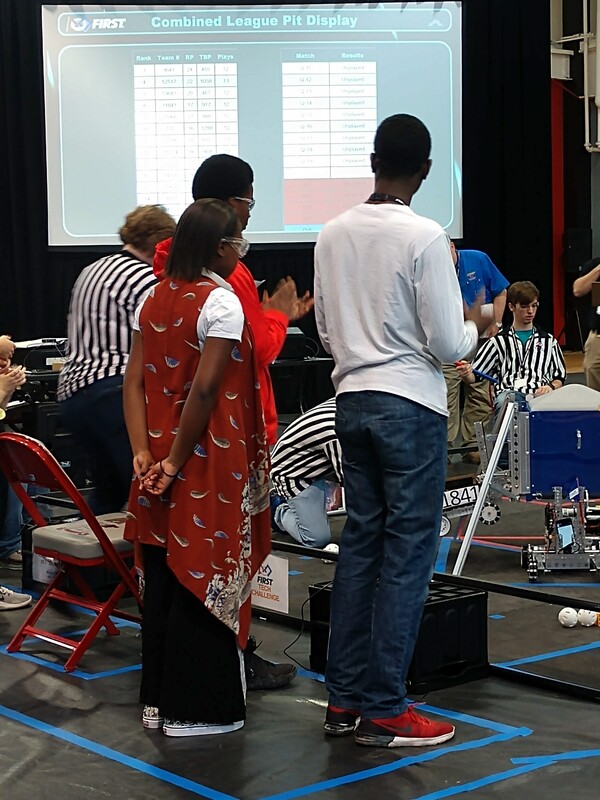 In previous years, teams competed in one regional (state) tournament from which teams were chosen to advance to the FIRST Championship. 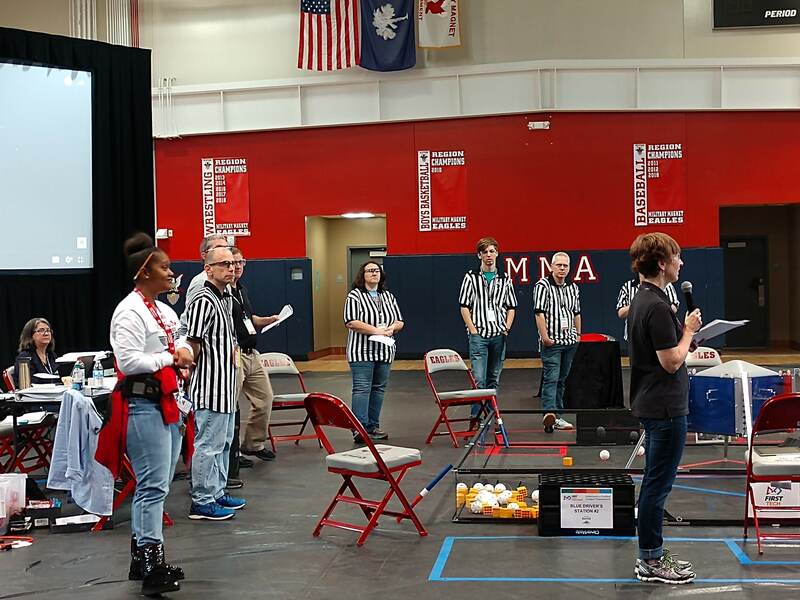 For the first time this year the South Carolina FTC teams moved to a league format, which increased the number of matches, played, offered more opportunity to design and strategize throughout the season, and more opportunities to interact with local teams. 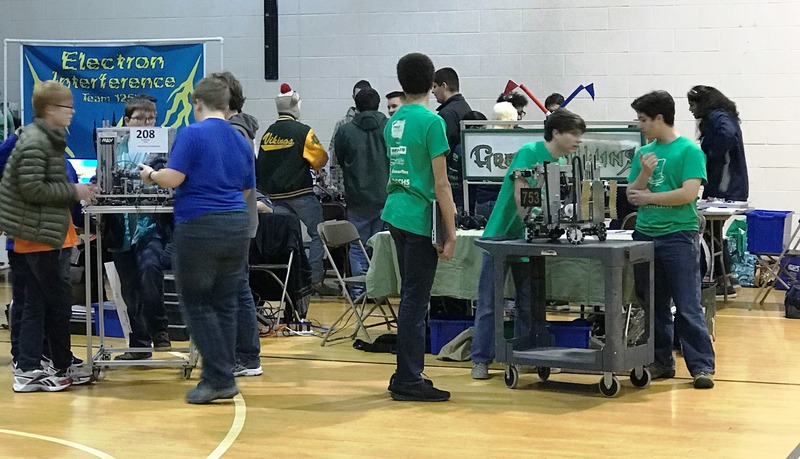 Out of 18 total teams, the Robo Eagles ranked 16 with 299 points scored. 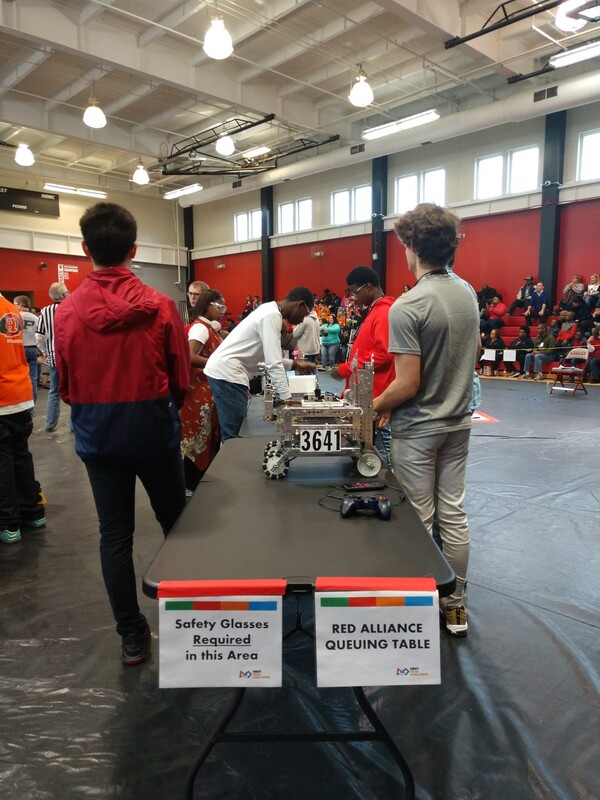 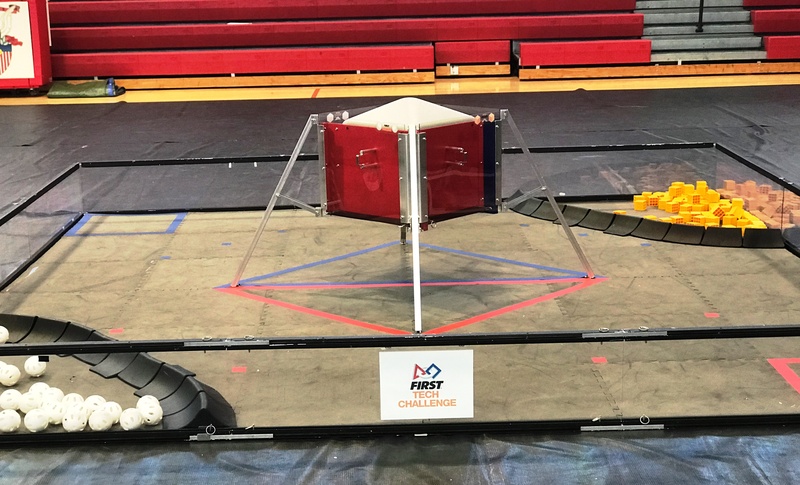 There was a total of 10 matches ending in the Robo Eagles being selected as a semi-finals alliance partner with the Ground Shakers but did not advance to the regional competition. 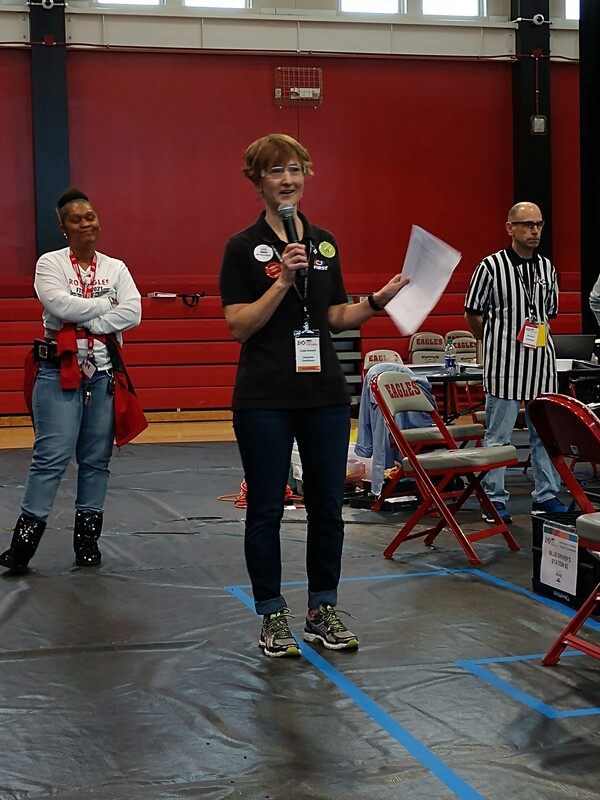 Additionally, team member, Alexandria Archie, was nominated as a FIRST Dean’s List semi-finalist, one of four nominees for the league. 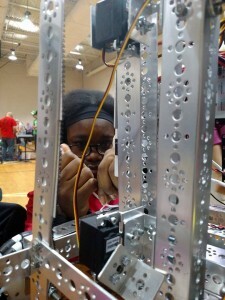 We exemplified “Gracious Professionalism” while cheering our fellow robotics teams on to victory. 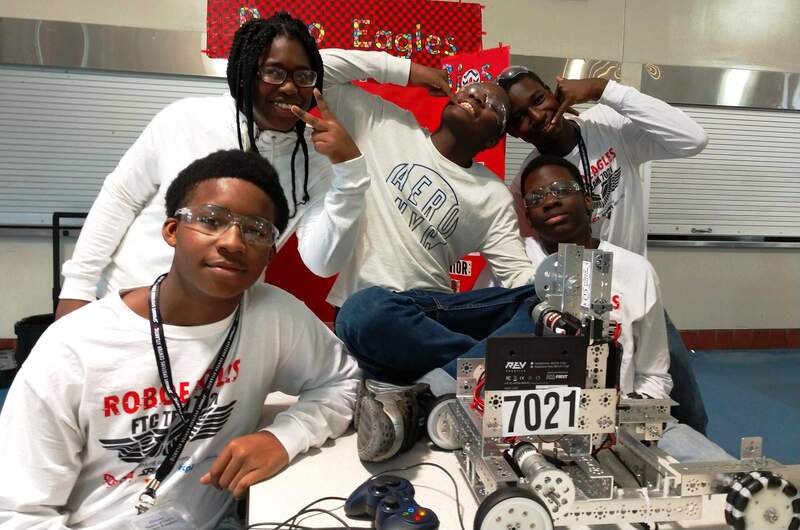 This has been an exciting season thus far for the Robo Eagles and we will continue to grow and learn! 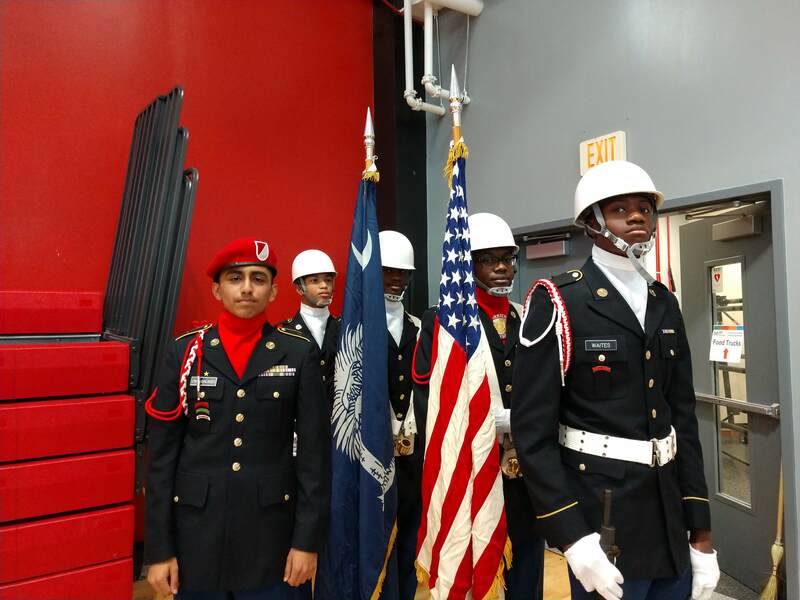 I would like to extend a special thanks to Ms. Lowman, TSgt White, Ms. Reed, and the Admin Staff for coming out and supporting the event. 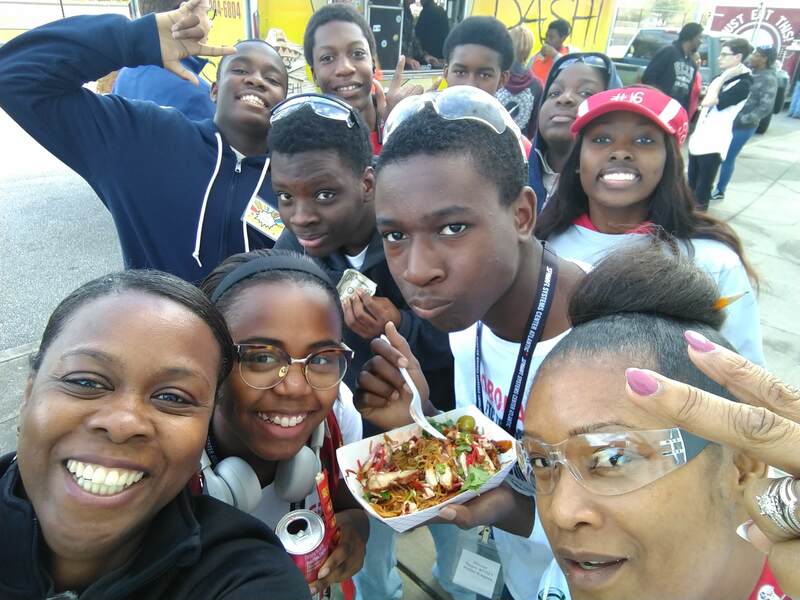 Our Senior Alumni who came from College to run the Eagles concession stand, and lastly, we would like to thank Ms. Sally-Ann Archie, a parent, and mentor, who has been an asset to Military Magnet with volunteering to help in any capacity and supporting our Robo Eagles and Cyber Security team. 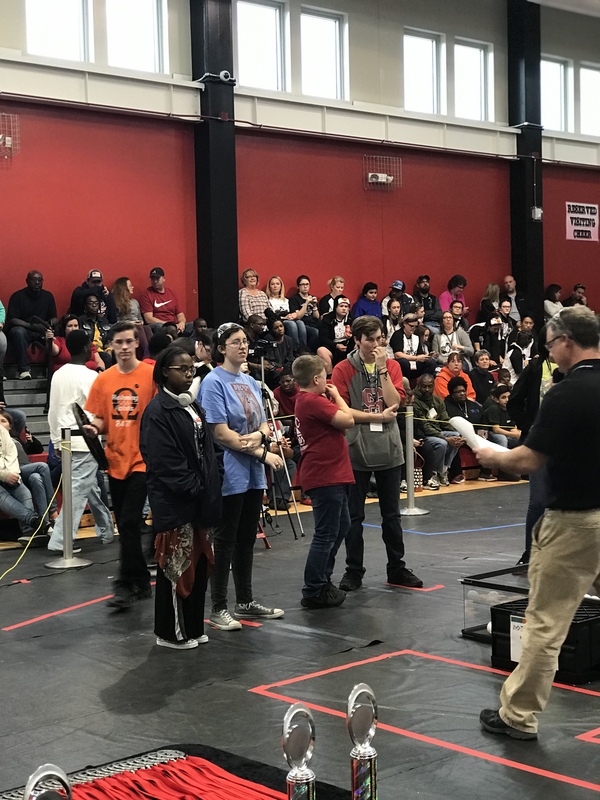 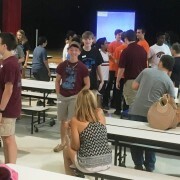 The exciting event was staged for competitive robotics teams from throughout South Carolina to kickoff the new season! 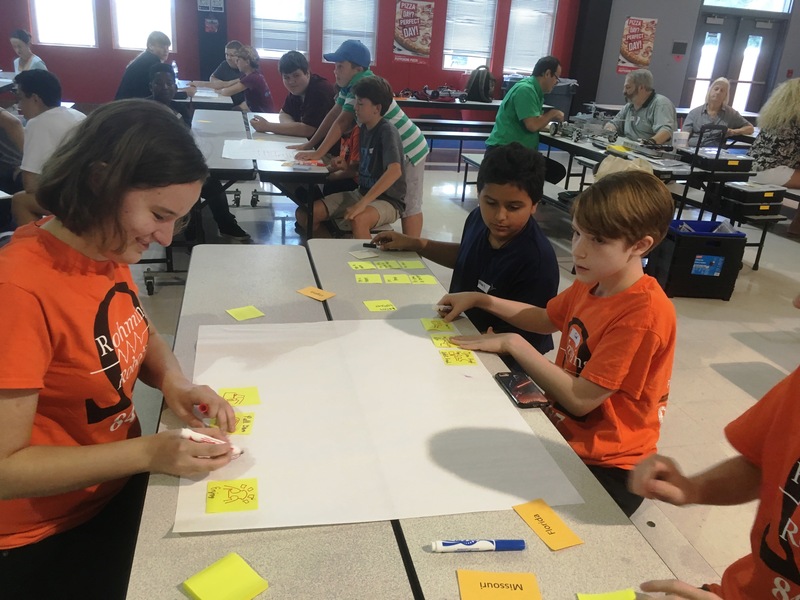 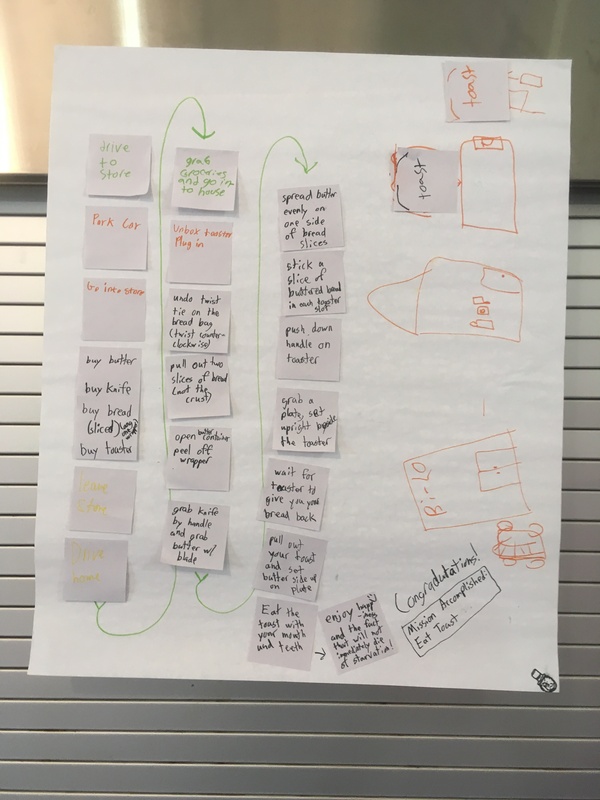 In the 2019 First Tech Challenge season, teams will explore STEM concepts through a challenging, and out-of-this-world space themed game. 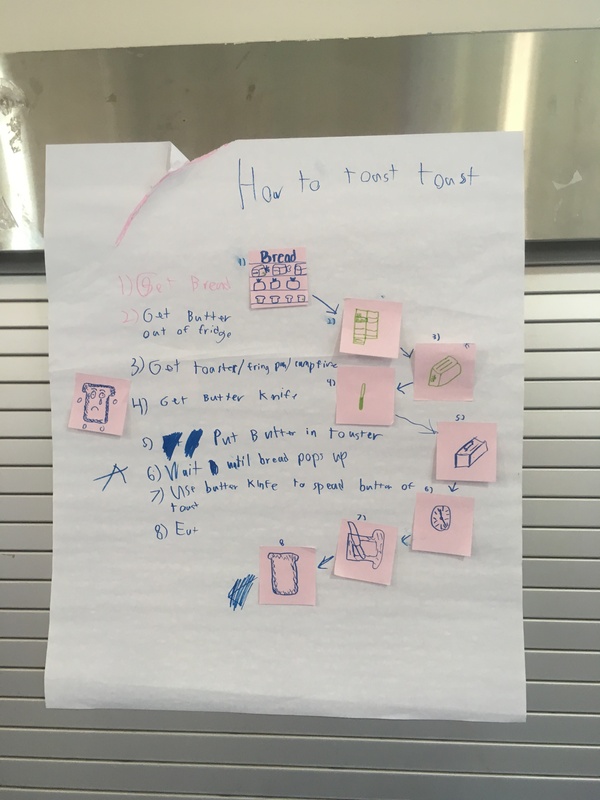 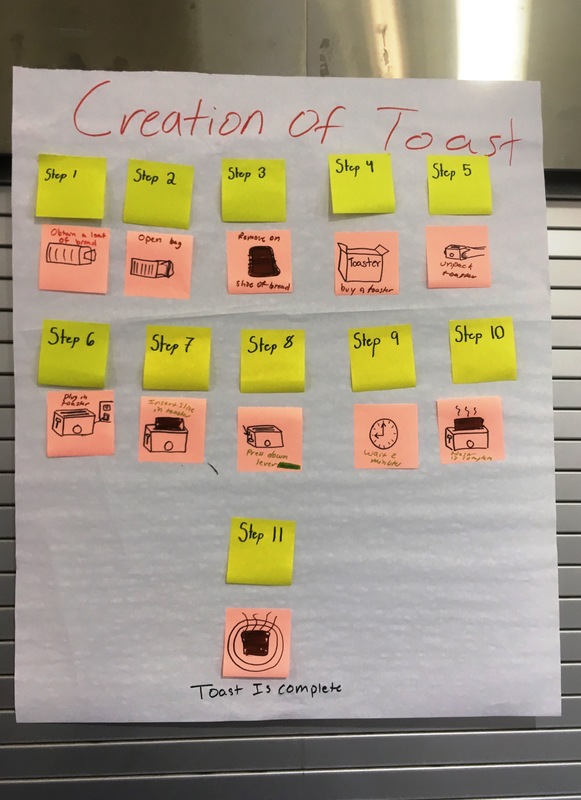 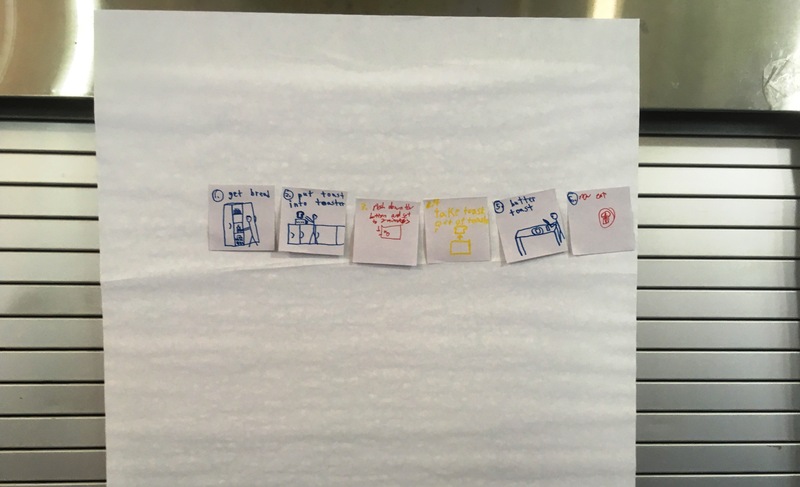 Participating teams also enjoyed a group collaborative activity, “how to make toast” to showcase their critical thinking skills. 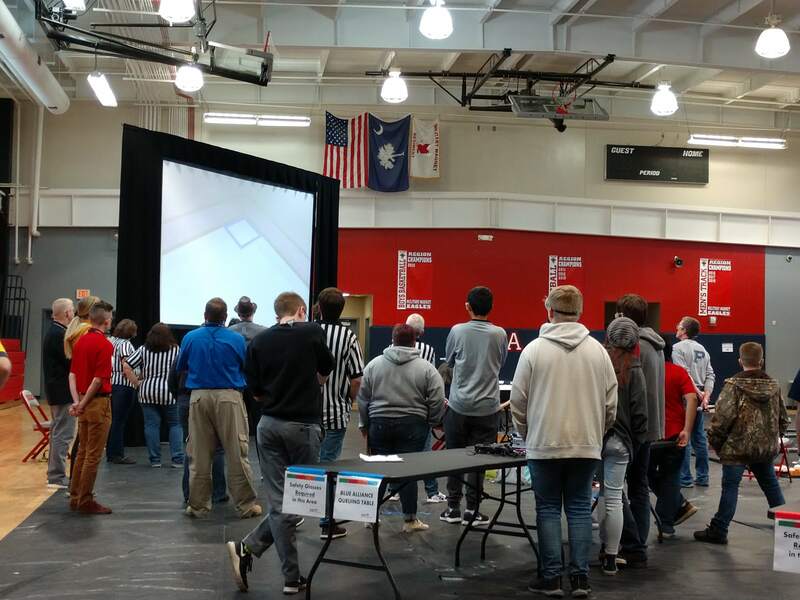 The teams eagerly watched the annual FTC Game Release video and enjoyed the field walk-through. 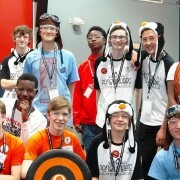 This opportunity gives each team a chance to prepare for the season’s events. 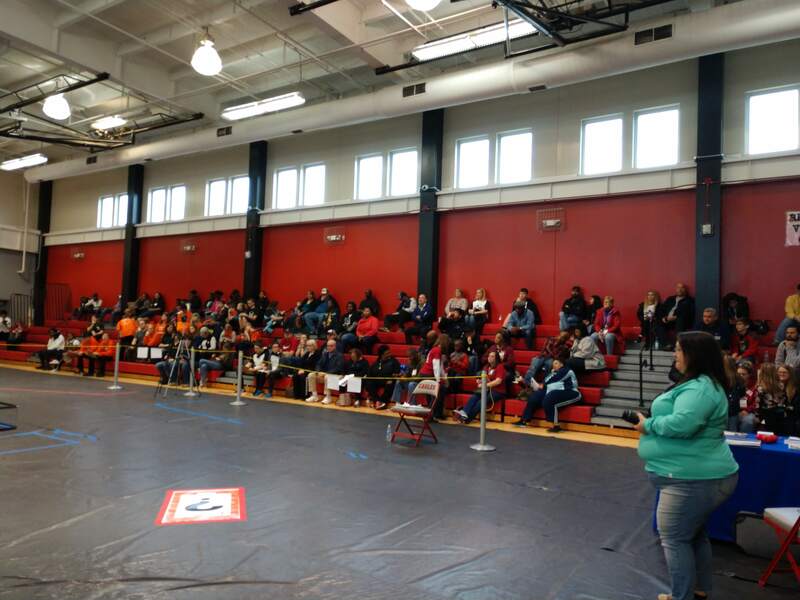 7 robotics teams in all participated with a total of 74 registered guest. 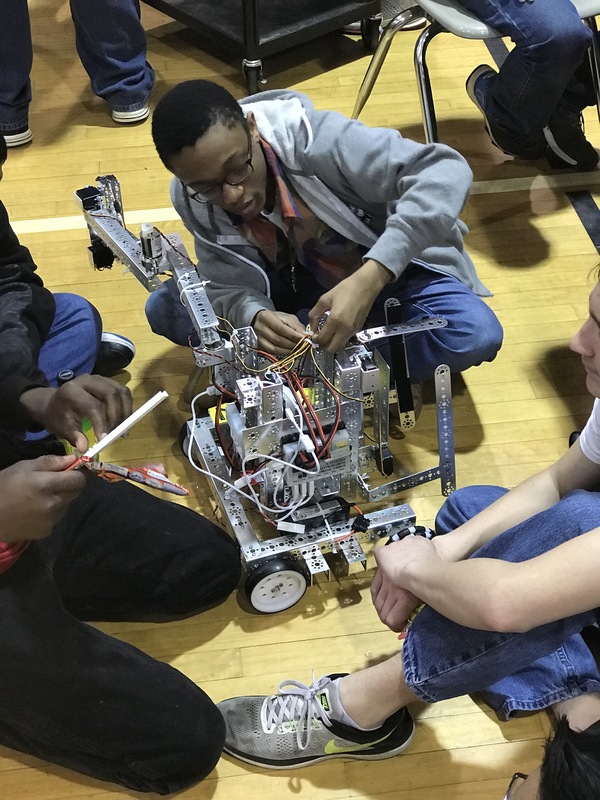 Also, Ms. Farrette- Clark shared her thanks for 2 Military Magnet students that helped with concession sales during the robotics season kickoff: Lalove Shine & Joshua Brooks. 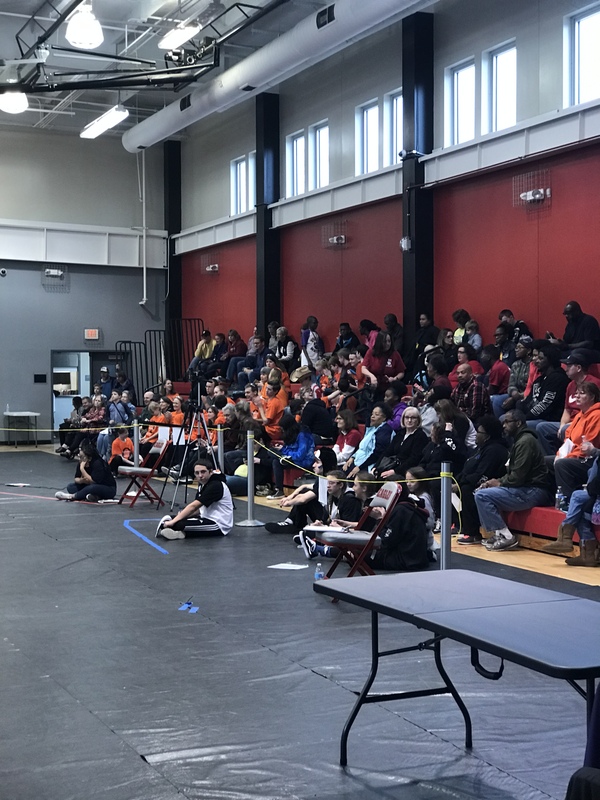 Thanks to everyone that made this robotics event possible for students from Military Magnet Academy, as well as students from 6 other participating teams! 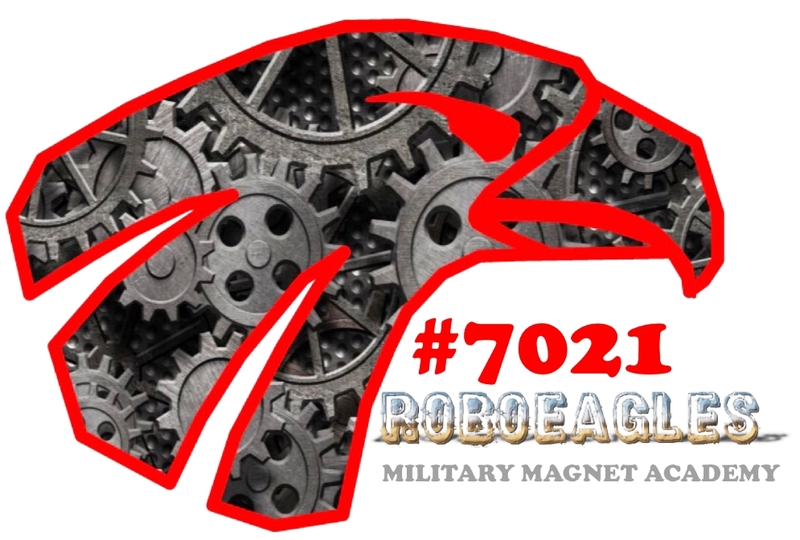 Congratulations to the RoboEagles FIRST Robotics Team #7021 on their participation in the FTC State Championship that was held at Gaffney High School, February 2-3, 2018. 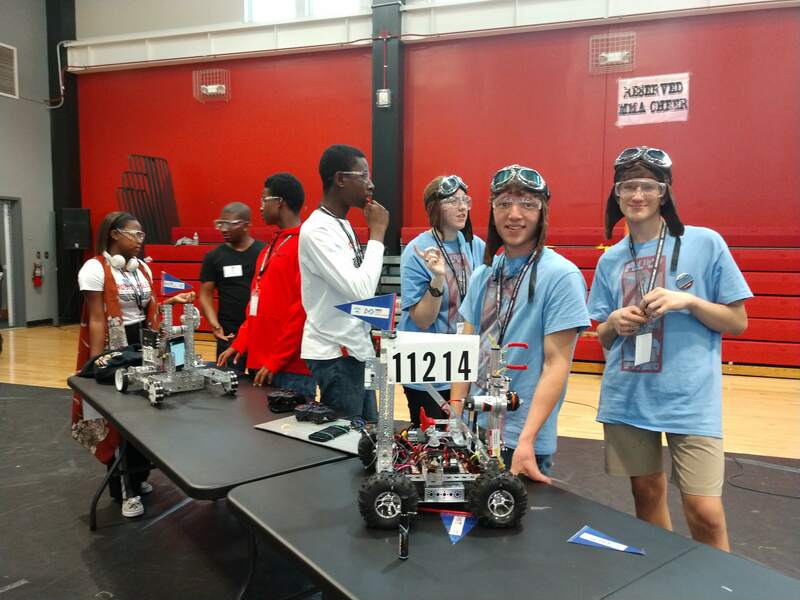 The RoboEagles placed 17 out of 22 in the state-wide event. 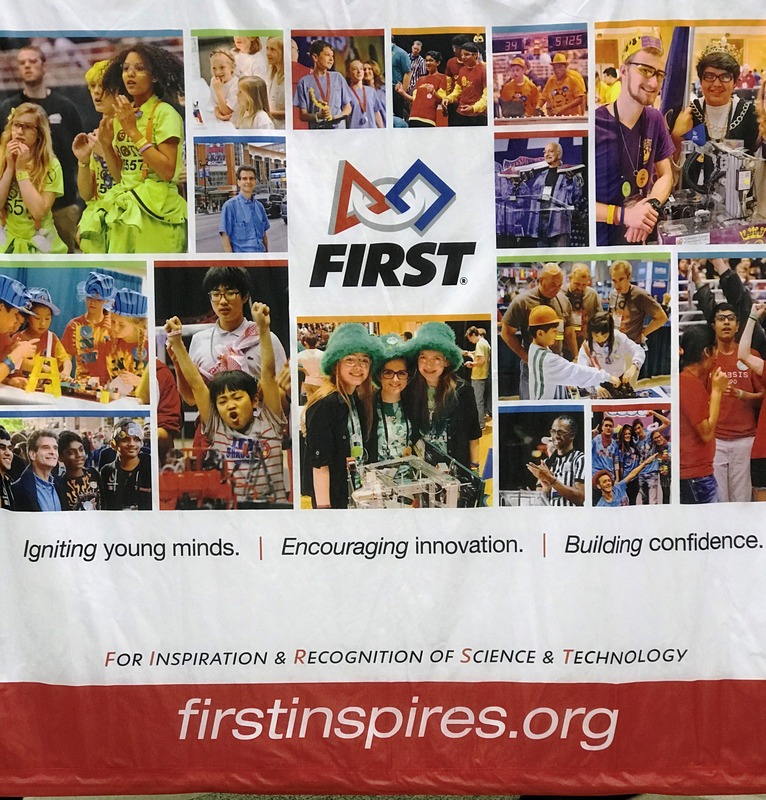 The mission of FIRST is to inspire young people to be science and technology leaders and innovators, by engaging them in exciting Mentor-based programs that build science, engineering, and technology skills, that inspire innovation, and that foster well-rounded life capabilities including self-confidence, communication and leadership. 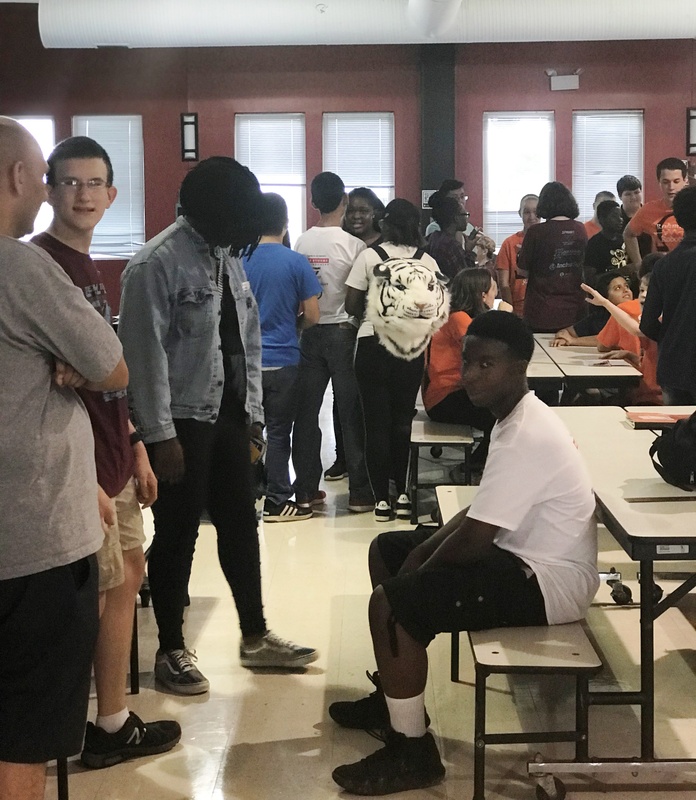 The FIRST mission, along with Military Magnet Academy’s mission of achieving academic excellence, to develop citizenship and to promote self-discipline in a military environment, go hand-in-hand. 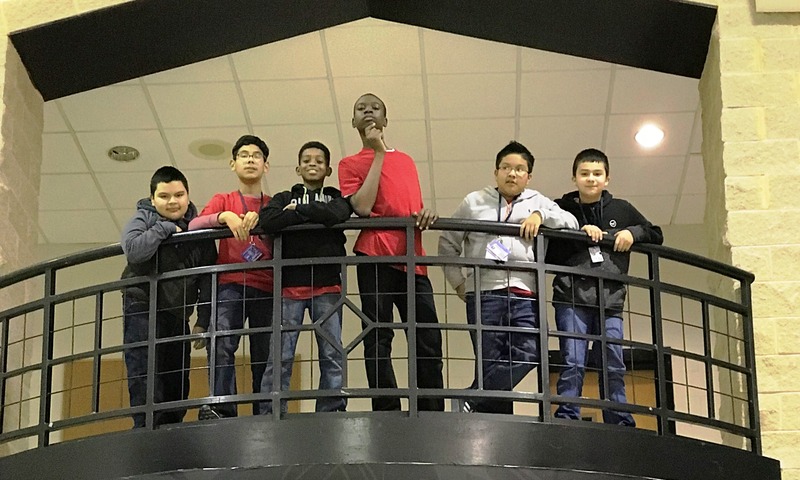 “​Let’s give it up for our FIRST Tech Robotics Team #7021 RoboEagles!! 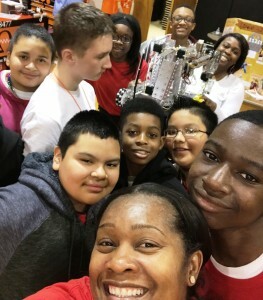 We are true leaders of the 21st Century!” Ms. Ferrette-Clark added.